It seems like it’s all over the news. The opioid crisis is ravaging communities. Another celebrity dies of an overdose. Another teenager takes his own life. 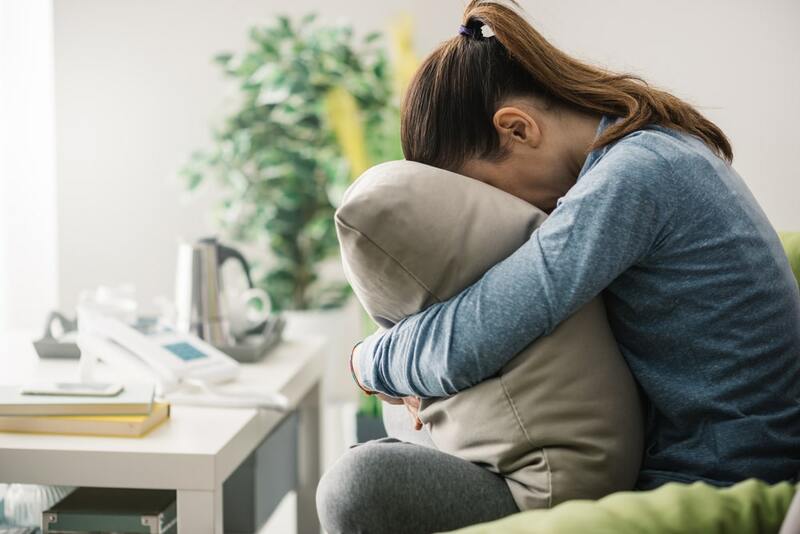 Grief is always hard no matter how a loved one has died, but for those who are grieving the loss of a loved one to overdose or suicide, there is an added dimension to grief. For one, it seems like the death could have been somehow avoided. For another, the death leaves those left behind with many questions; none of them easy to answer. As a society, we tend to avoid things that make us uncomfortable or that don’t fit into neat categories. 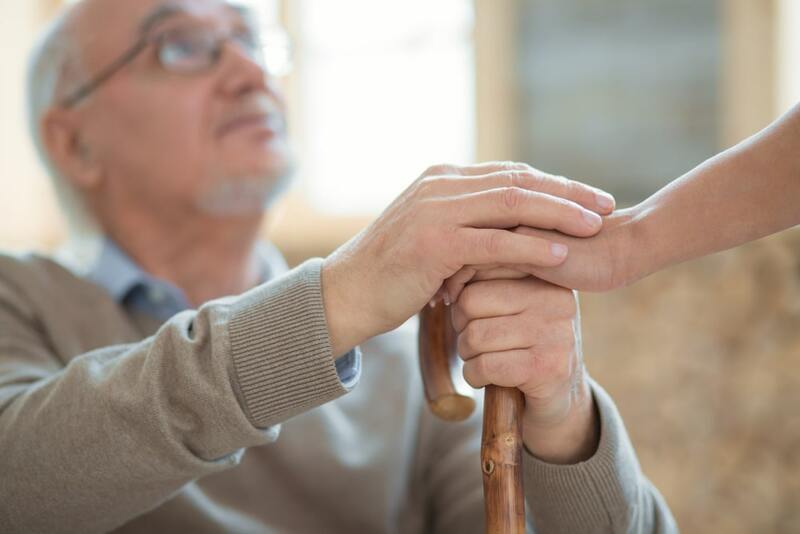 Typically, the death of a loved one fits into a category that is easily understood: chronic illness, accident, injury, heart disease, cancer, old age, etc. But death brought on by addiction or suicide can leave us at a loss as to how to react. Because of this, those grieving the loss of a loved one to overdose or suicide have added hurdles in the grief journey. However, just because the grief looks different doesn’t mean that what you are feeling isn’t completely normal. Let’s discuss some of the common feelings associated with losing a loved one to overdose or suicide. In the cases of overdose and suicide, the death feels like it was preventable. You may be plagued by considering all the “what ifs” and “if onlys.” If only I had known. If only I had gone to see them that day. What if I had shown them how much I cared? What if I had done more? There is a sense that somehow, in some way, what happened is your fault. You feel that you could have done something to prevent the death of your loved one. While the death may have been preventable to a degree, it is not your fault. In most cases, it is a culmination of many things, not the actions or inactions of one person. For many families and friends dealing with suicide or overdose loss, guilt is an unwanted companion to grief. While the feeling is the same, the expression looks different for every person. Guilt sets in because you feel that you could have done more to help. You feel that it is somehow your fault that the person who has died developed an addiction or decided that suicide was the only option. You feel guilty because you feel relieved. 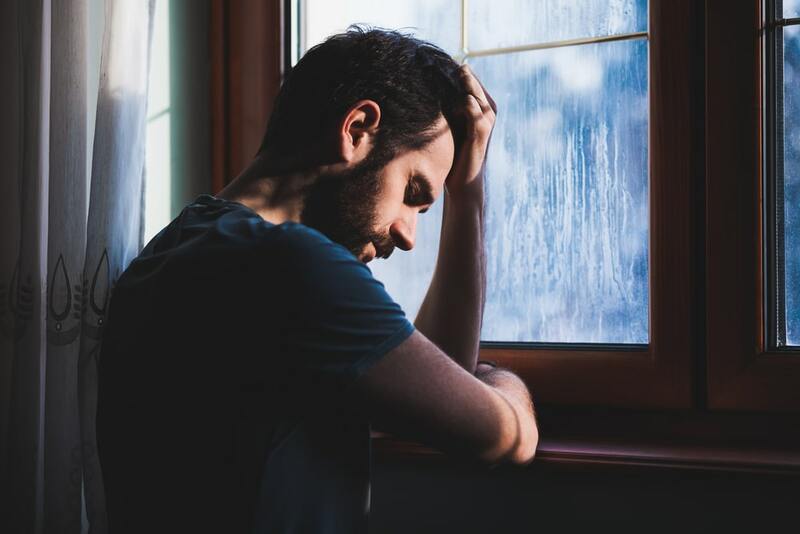 It’s hard to deal with an addiction that impacts family and friends for years on end, so when the person is gone, there is a sense of relief, which is then accompanied by a sense of guilt. All of these are natural reactions, depending on you and your circumstances. These emotions do not mean you did not love the person who died. They are simply what you feel, and it’s okay. Oftentimes, when a loved one dies due to suicide or overdose, we become angry because it feels like the one who died had a choice in the matter. They didn’t have to die. You might feel angry that the person didn’t try harder. Or, you might be angry at the drug dealer who enabled the addiction or the bullies who made your loved one feel that there was no other way. You may even feel anger toward any medical staff or first responders involved because they couldn’t do more to save your loved one. If you are feeling angry, you’re not alone. For many people, anger is a normal and natural response to loss. 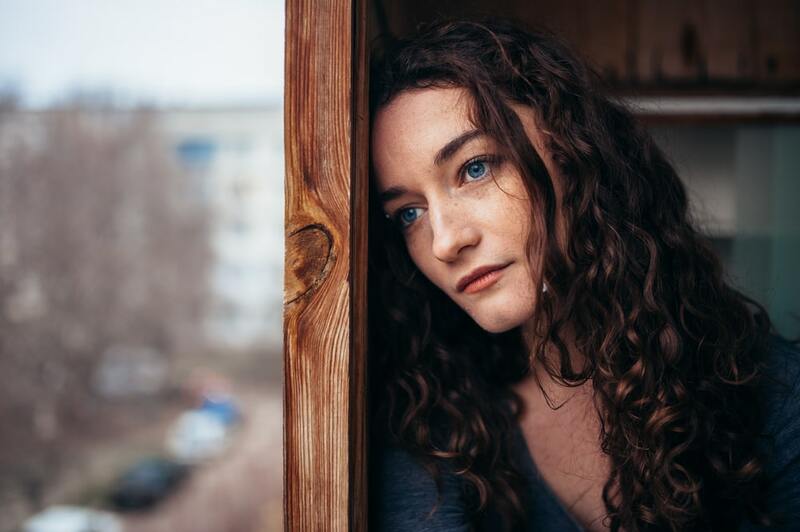 Because we may not want to publicly talk about a loved one who committed suicide or was an addict, negative emotions may take hold inside, and a sense of shame may develop. We feel that our loved one’s death is something we should not talk about – something that we should hide. A family member suffered from an addiction or committed suicide. They feel that they enabled the person who died. They feel that they didn’t do enough to help. Other people think that the person who has died is less worthy of mourning due to the circumstances of their death. 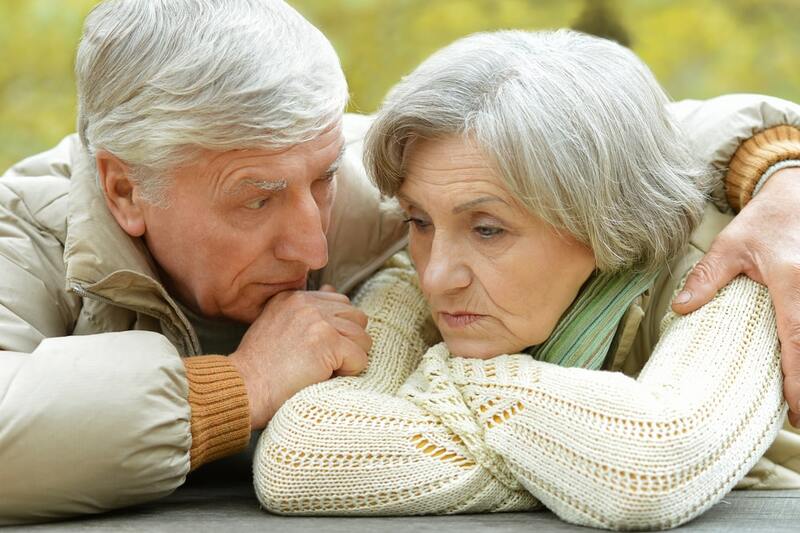 They feel judged by others because of their lost loved one’s struggles. A recent survey found a greater incidence of blame between the parents of a child whose death was related to drugs or suicide. The study found that of the blame comments they researched, 64% blamed the child who died while 36% blamed a parent. And nearly 50% of parents who lost a child to overdose or suicide report that their significant other blames them for the death. Built on similar emotions as guilt or shame, blame works to separate us from each other. When something happens that we can’t control, we automatically look for someone to blame. You may blame the person who first introduced your loved one to drugs. It may be that you blame yourself for not seeing the struggle sooner or doing more. You may even blame the person themselves for not fighting harder or for letting others bring them down. That is a lot of hurt and blame going around. As you process through your grief, know that blaming others feels like a natural reaction, but isn’t necessarily helpful. Instead, work through your emotions, seek support from your family, and move toward reconciling yourself to the loss. Remember, it’s not about “moving on” or “getting over it.” Instead, reconciliation allows us to find a “new normal” that works for us. 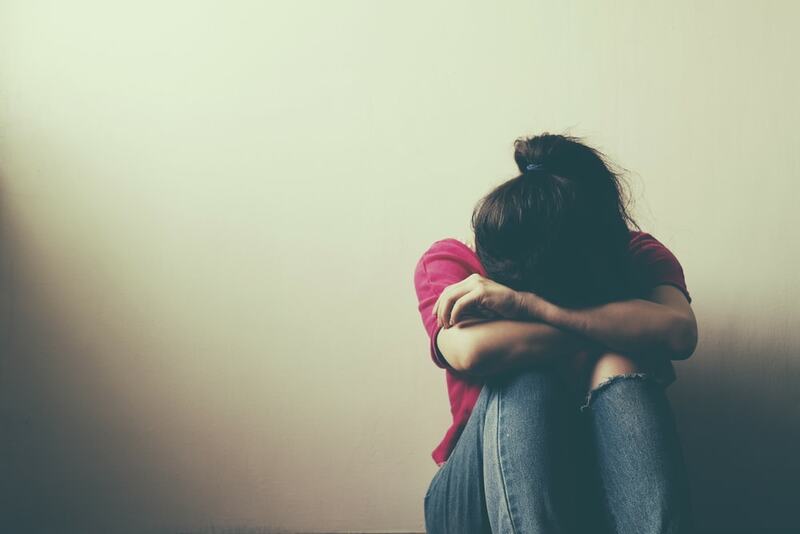 As if blame, shame, and guilt weren’t enough, there is a certain stigma that grievers often feel after losing a loved one to overdose or suicide. Because society at large often views overdose and suicide with negativity rather than compassion, those who are grieving feel the need to suffer in silence, leading to isolation. Not talk about the loss of their loved one. Be reluctant about showing their emotions about the loss. Shy away from counseling or joining support groups. Hesitate to ask friends or family members for support. As a society, we are becoming more aware of our own biases, but for so many, the stigma remains. But if you are in the midst of grieving, remember that you have the right to mourn. The manner of death does not negate the value of the person who lived or the love you felt for them. After a traumatic loss by suicide or overdose, you may feel an increased amount of fear or anxiety. You may fear that a family member will also die in a similar way. Or, you may feel anxious about your relationships and wonder if surviving family members are keeping their internal struggle or habit a secret. This type of fear and anxiety causes some people to try to control others, as a means of protecting them. While it is good to want to protect your loved ones, be careful not to overdo it. 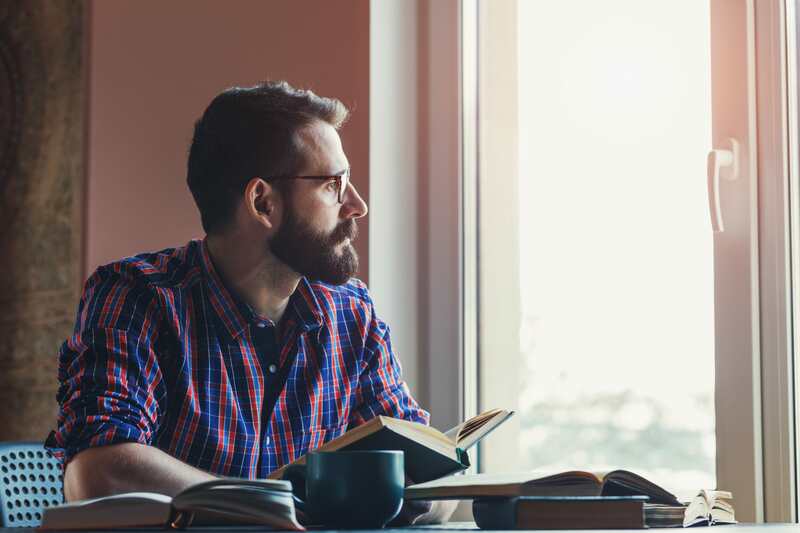 If you find that anxiety is interfering with your work life, family life, or the health of your relationships, consider speaking with a counselor who can help you process through these complex emotions. Lastly, depression can be triggered by grief, especially by a difficult loss compounded by guilt, shame, fear, anxiety, blame, and isolation. If you feel that you may be in danger of slipping into depression, seek help immediately. 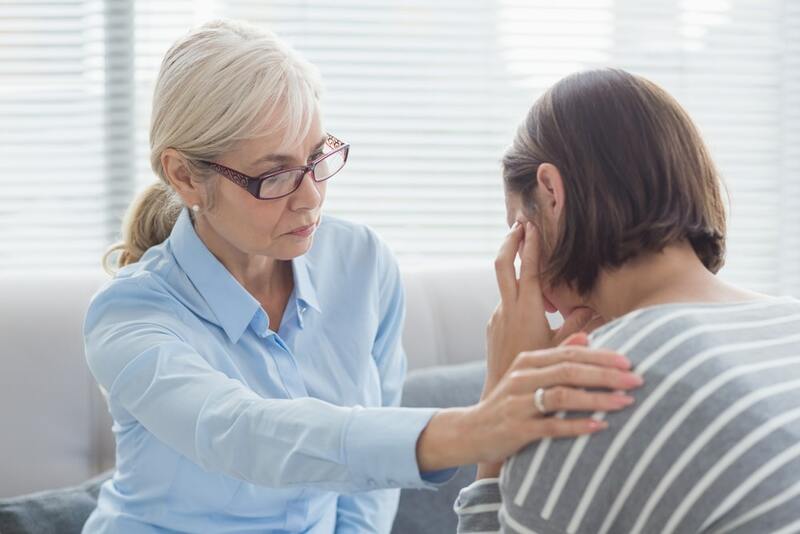 A good counselor or psychologist may be able to help you see the situation from a different perspective, provide helpful therapies, and work with you to maintain healthy habits and positive thought patterns. As you work through the complicated emotions of loss due to suicide or overdose, try to replace negative emotions with empathy and compassion. Think of the person who died with compassion for the pain they were experiencing that led them to such extreme measures. Think of yourself and your family members with compassion, trusting that you did the best you could in difficult circumstances. Consider with compassion those who do not understand the pain you are going through. Allow yourself to release blame and embrace forgiveness. Every single one of these emotions is normal and well documented behavior for those who have lost a loved one to overdose or suicide. If you are experiencing any or all of these, you aren’t alone. Others who have lost a loved one in similar circumstances are feeling something akin to what you are feeling. They do not feel exactly what you feel – no two grief journeys are the same – but they are intimately familiar with the struggle to cope with a difficult loss. Remember – you feel this way right now, but it will not last forever. Reach out to others who understand, talk to counselors, friends, and family members, surround yourself with people who are willing to listen. 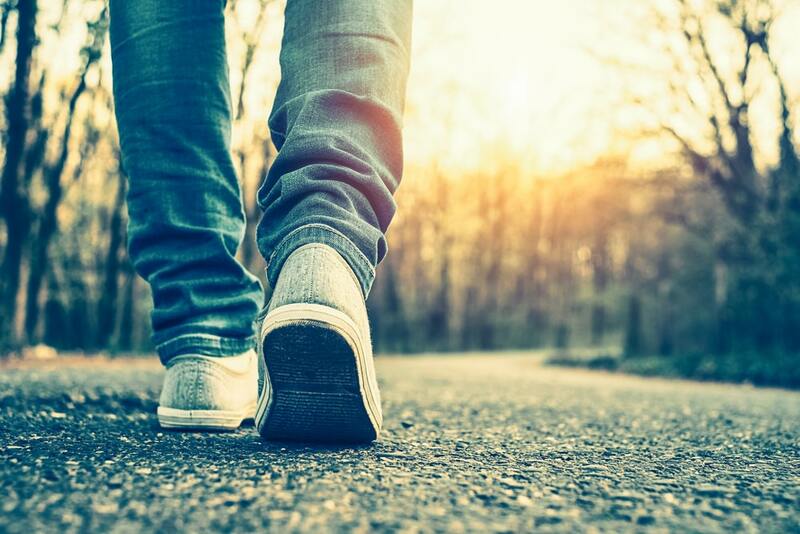 If you continue to walk through the journey through grief, sometimes fighting for every step you take, you will eventually find your way through to renewed hope and healing. And who knows? You may one day find yourself on the other side, ready to help another who is going through the pain of grief and loss. We all have “special” days in our lives, and after the loss of someone we love, they are often particularly difficult. Birthdays. Holidays. Anniversaries. The first day you met. The first time you knew you loved them. Their favorite day of the year. No matter who you’ve lost – parent, grandparent, spouse, sibling, child, or friend – any day of the year could be special to you and the one you love. 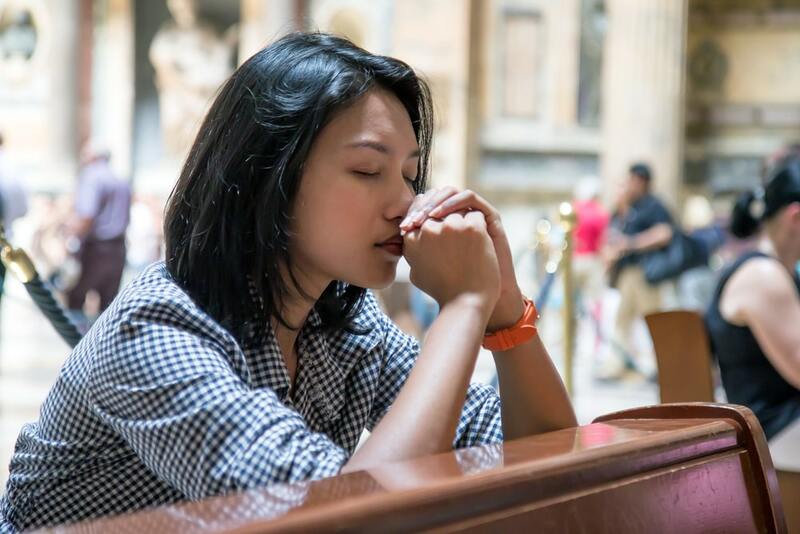 As a special day or milestone approaches, consider what you will need to get through the day. 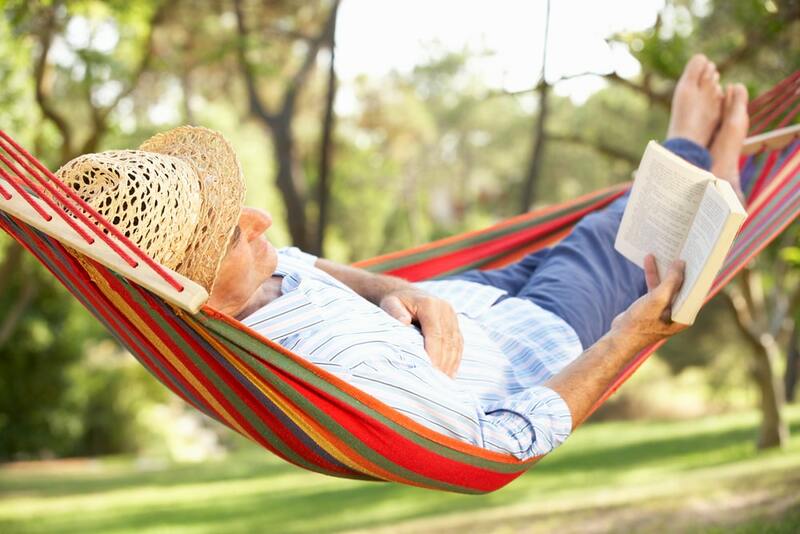 Think ahead and decide if you need to take the day off to rest and reflect. You may also wish to do something special or meaningful to honor your loved one’s memory. Or, you may want to go to a special place or gather with certain people on that day. A little planning ahead of time can make for a more peaceful and contemplative day. The hardest part about a day that is special to you is if no one else seems to remember. No matter what the particular day may be, if it’s significant to you and your lost loved one, do something to remember, to celebrate, to commemorate, and to honor it. Take flowers to the gravesite, look through old photos and videos, light a candle, or write a letter. All of these are simple ways to express your grief outwardly. The outward expression of grief will help bring peace and healing on a difficult day. 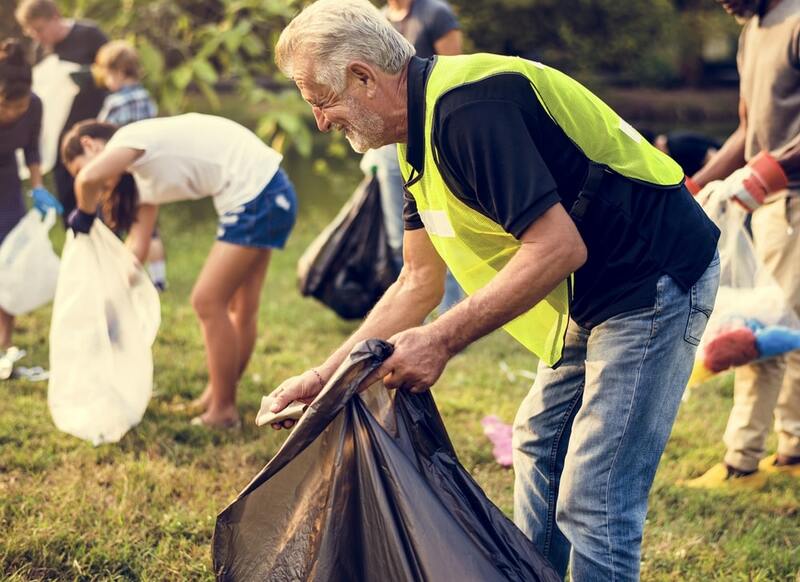 Giving back is one way you can pay it forward to others and carry on your loved one’s legacy. Though your loved one is gone, their legacy lives on through you. For example, if they greatly valued children, find a way to give back to local or international programs that help children. You may even sign up for a race or a walk that raises funds for a special cause. Focusing on the needs of others will also help you look outside your own pain and take a break from grief. Another option is to reinvent the days that bring you pain. For example, on the anniversary of your loved one’s death, do something that would have delighted them. If they loved to fish, go spend a day at the lake and take time to remember and cherish. This same principle can be applied to any special day. Changing routines and focusing on what brings you joy and peace, even temporarily, can help you get through a hard day. 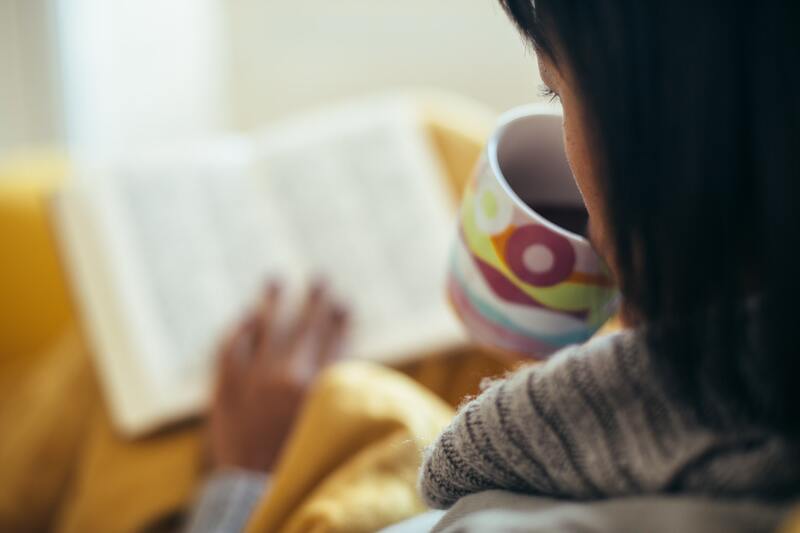 For many of us, we need time alone to process through our emotions, so quietness may be what you need on the “special” days. Take deep breaths and allow yourself to feel whatever it is that you need to feel. If painful emotions come to the surface, find a healthy way to express those emotions. Remember, it’s okay if you need to cry. 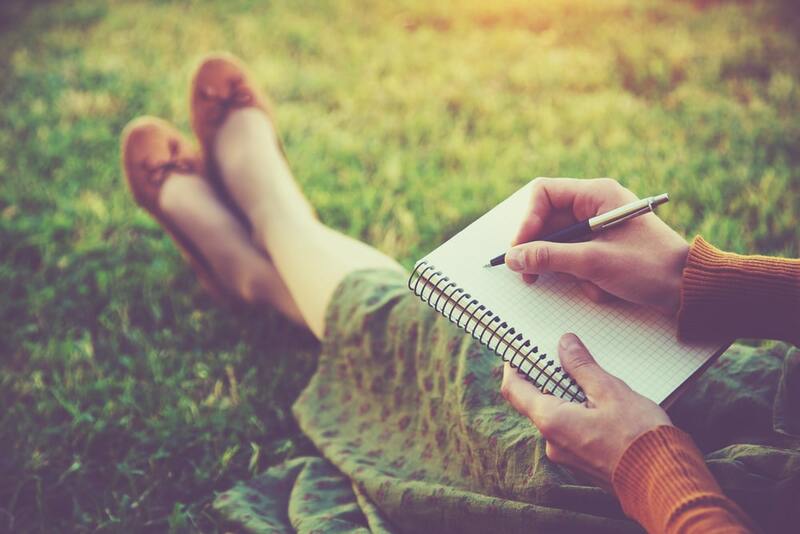 Grief journaling, creative expression, and spending time outdoors are all very effective ways to express your feelings. Your friends and family care. Don’t be afraid that you’re going to “bring them down” if you talk honestly about the sadness that you’re experiencing. If you need to get something off your chest, do it. Too often, our culture encourages us to stifle sad emotions and put on a happy face. But it’s healthy to express what we feel and confide in others. Let those who love you support you. If your friends and family are unable to give what you need at this time, join a support group or find a counselor. While it is good to spend some time in solitude and reflection, it is also important to socialize with people who support you and care about you. Go out to dinner or prepare a meal together. Turn on a favorite film or tv show. 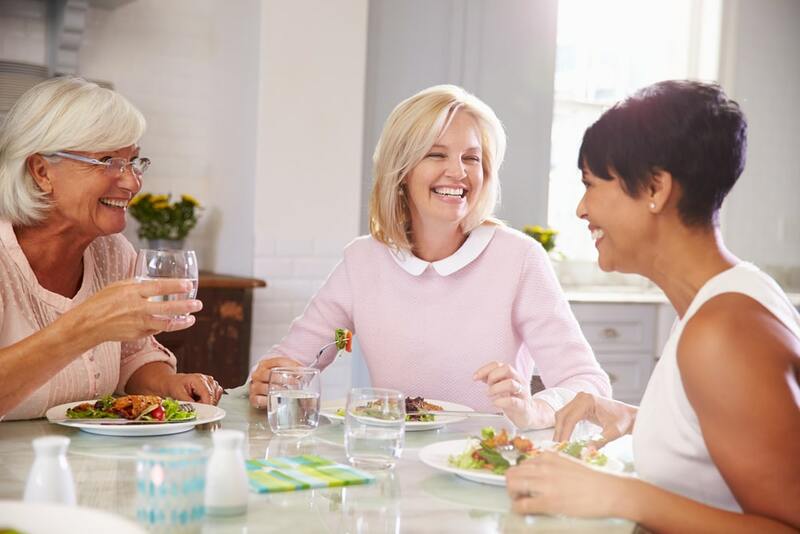 Numerous studies have shown that laughter plays an important role in lowering stress, improving mood, strengthening our relationships, and contributing to our overall health. By taking time to laugh with people you love, you take a healing step forward. Some of these suggestions may appeal to you while others don’t. That’s okay. Remember what Dr. Wolfelt said earlier? Our grief journeys are never the same. They look different for each of us, so some of these options will be right for you and others won’t. Simply choose what’s best for you and follow through. But for now, grieve. Cry. Remember. And look for ways to celebrate your lost loved one on those days that are special to you. Or find a way to turn painful days into positive, uplifting moments that help you honor and remember the one who died. May you find the peace and reconciliation you need. Sometimes talking about our grief isn’t enough. Maybe our words don’t fully say what we want them to say. Or they don’t capture the depth of what we feel. This is why creative expression is such an integral part of the human experience and an excellent way to process the painful feelings we encounter, especially during times of grief. 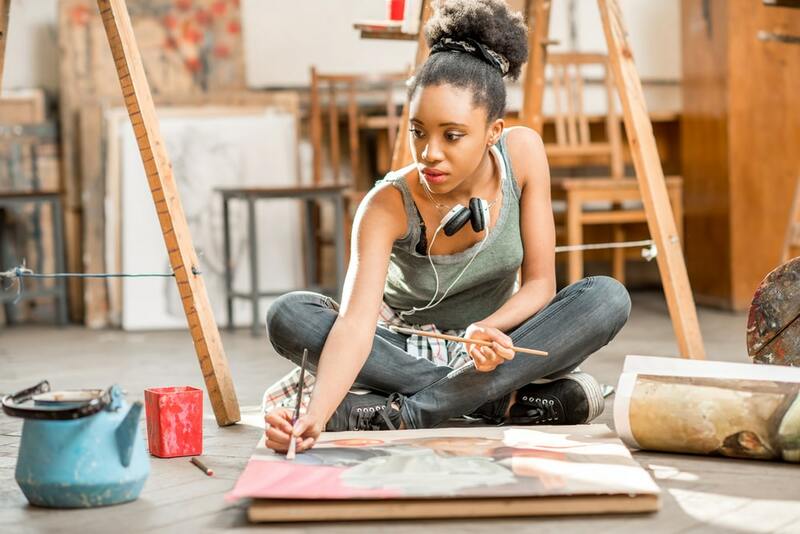 For many, participating in creative self-expression can help bring deep-rooted, complex emotions to light. 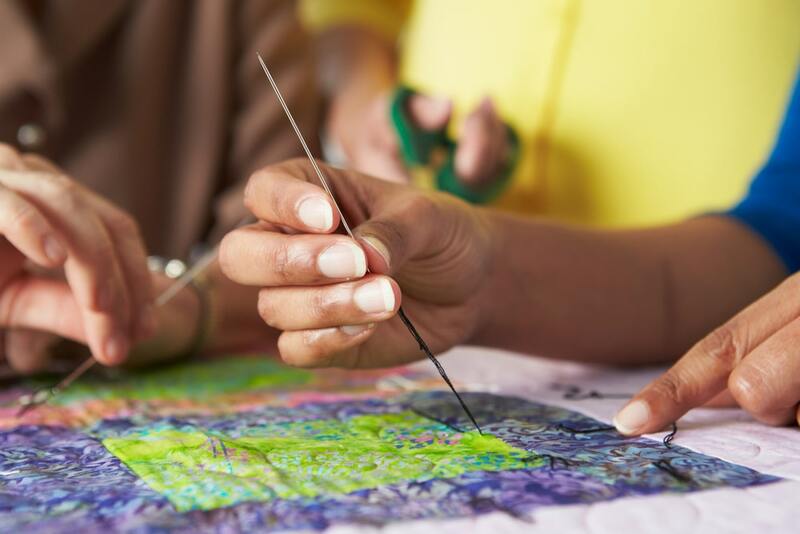 As part of your grief journey, you might consider taking up an activity that allows you to express yourself creatively. For many of us, painting comes to mind first, but you don’t have to take up painting if you don’t want to. There are many ways to express yourself creatively and tap into what is hiding below the surface. 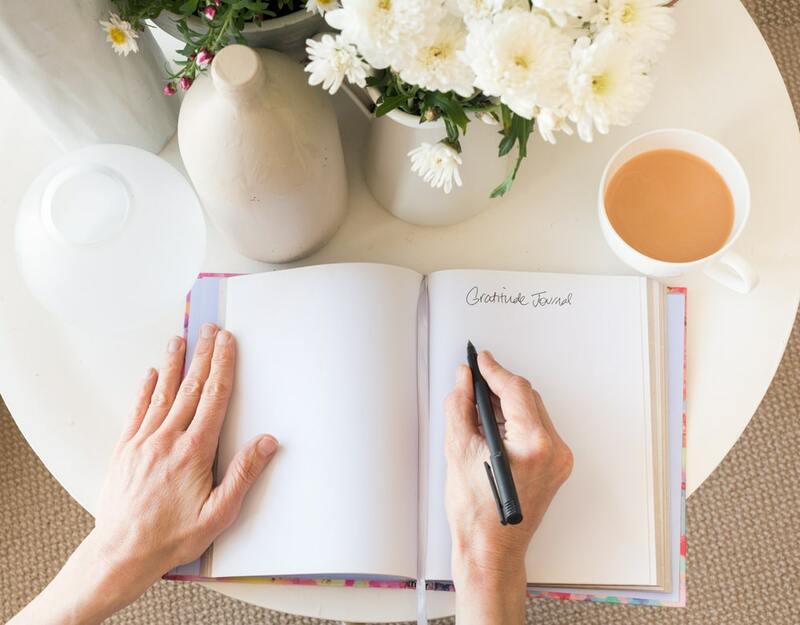 For example, you could: draw (pencil, pastels, ink), paint, sculpt, scrapbook, keep a grief journal, take photographs, garden, write poetry or prose, cook, bake, take up calligraphy, compose music, restore a car, woodwork, or create a memory quilt or box. In the end, the final product doesn’t matter. The healing value is in the doing. You don’t have to be good at something to take it up as a vehicle for healing. In other words, you don’t have to be a writer to keep a grief journal. You don’t have to be a painter to use watercolors or oils. You don’t have to be a photographer to take beautiful pictures. All you need is the motivation and the desire to see if creative expression will help you. 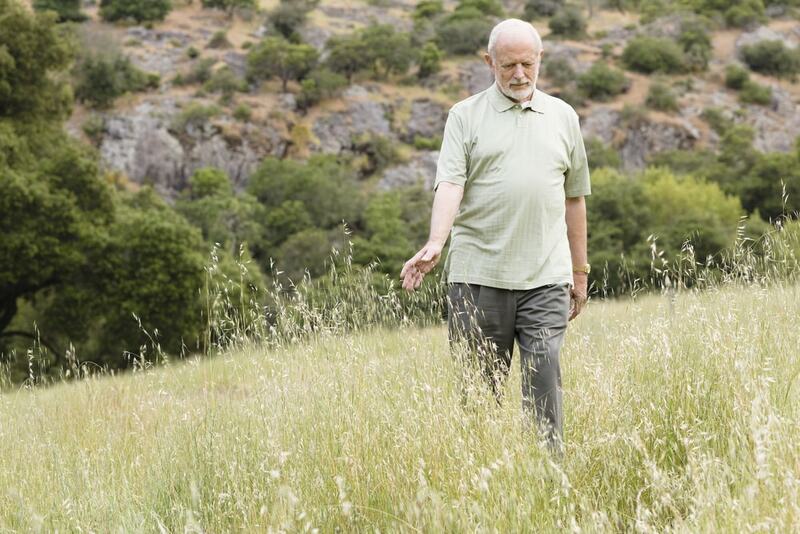 Here are a few reasons why delving into your creativity may help you deal with loss. 1. It helps you express things you might not be able to put into words. We all know how it feels to be at a loss for words. Creative expression allows us to become more aware of how we actually feel. In the creative process, we slow down a little and think about our emotions, actions, moods, and behaviors. There may be something going on inside that we don’t realize is there until we take the time to explore it. 2. The creative options available to you are wide and varied. As mentioned above, you aren’t limited in what medium you choose as your creative outlet. An Australian woman did choose to paint and is now exhibiting her work, while another woman created works of art made from the clothing left behind by the son she lost. Eric Clapton, a musician who lost his young son in a freak accident, used music to help him deal with his grief. No matter what form of expression you choose, the results can contribute to the healing and reconciliation you come to regarding the death of the person you loved. 3. It’s a safe way to express your emotions. Grief can bring out a myriad of emotions. Some of your emotions may even make you nervous or afraid. Using your creativity to deal with loss is a way to safely express yourself. No other person needs to be around when you create, unless you want them to be. It’s a time when you can choose to be alone to constructively explore what’s in your heart and mind. Your work is as private as you want it to be, and even if the emotions that reveal themselves are ugly, it’s better to get them out than to have them bottled up inside, waiting for a moment to burst. 4. It’s something you can control in a world that may seem out of control. When we lose someone we love, our world is rocked. Things that felt safe and secure before may now feel shaky and uncertain. Depending on the depth of the loss, it may feel like everything is spiraling out of control. 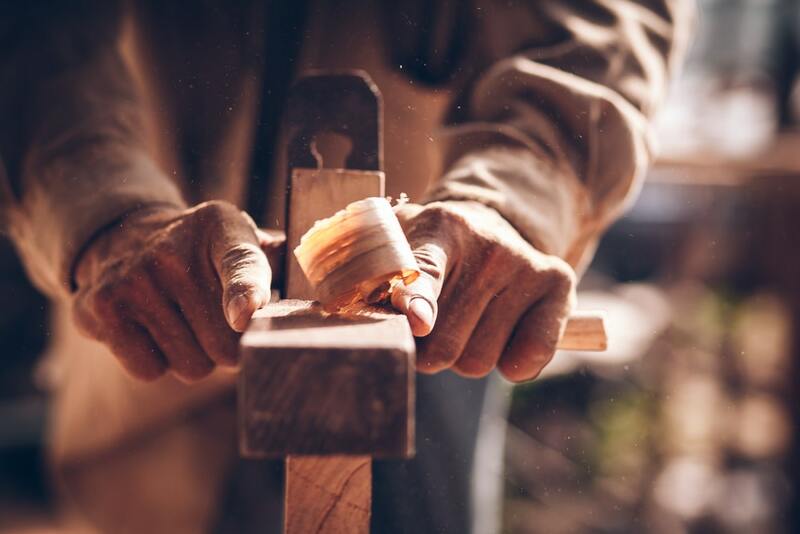 By taking up a creative habit, you create an opportunity where you can exert a certain level of control over at least one aspect of your life. It’s your work, and you make the rules. Throughout the process, creativity may become a reliable friend – a means of self-support during a time of confusion and pain. 5. It provides you with an opportunity to engage with others who are grieving. Some will choose to engage in solitary creative expression. Others will take the opportunity to participate in collective creative expression. If you decide to paint, you might join a group of other painters who are going through loss. If you decide to write poetry, you could join a writing group focused on grief. You are not alone in your journey – so many others are also dealing with grief in their own way. You may find a kindred spirit in a class who will come alongside you as you grieve. 6. It is beneficial to your health. It has been discovered that self-expression, particularly the arts, can actually help relieve feelings of stress, fear, and depression. The body calms during the activity, which, in turn, contributes to reduced blood pressure and even releases chemicals in the brain to decrease some types of depression. 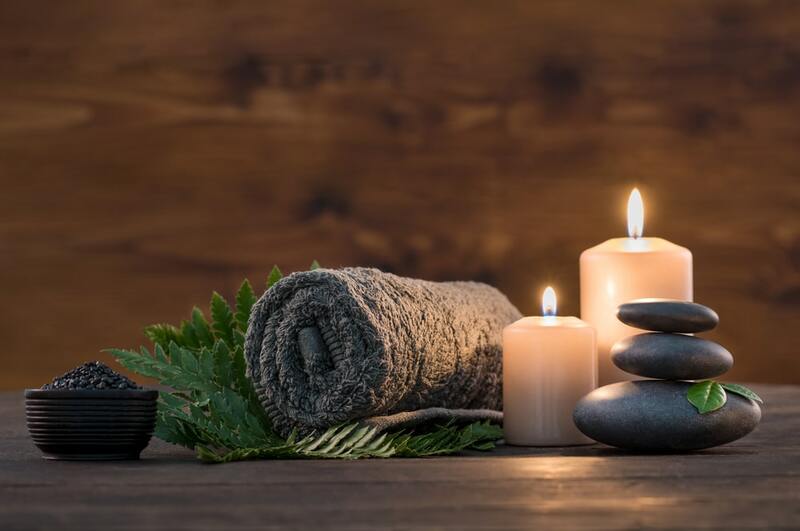 By allowing the emotions building up on the inside to find outward expression, you are actually allowing your body to relax, resulting in less strain and better health. 7. It helps you remember that there is still beauty in the world. No matter which medium you choose to interact with – photography, journaling, woodworking, painting, etc. – at some point you will make a realization: there is still beauty in the world. The flowers are still delicate, the mountains are still impressive, and people are still worth knowing and loving. Even in grief, you will have good moments – days when you remember that life can be good. When those days come, don’t reject them. Embrace them. Remember that life can be good again…not the same but still good. A brief note regarding creative expression and children in grief: Creative expression activities (most often arts & crafts) are very helpful for children experiencing grief. Children have a difficult time identifying what they are feeling, much less putting it into words. Arts & crafts allow them to communicate without words and provide an opportunity to release their emotions and express their thoughts. 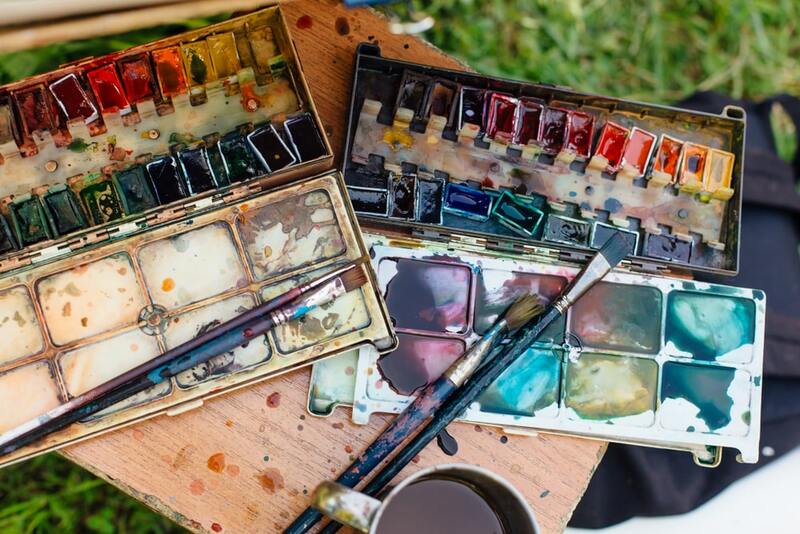 If you’d like to give creative expression a try, you first need to pick an activity that appeals to you – even if you don’t think you’re good at it! 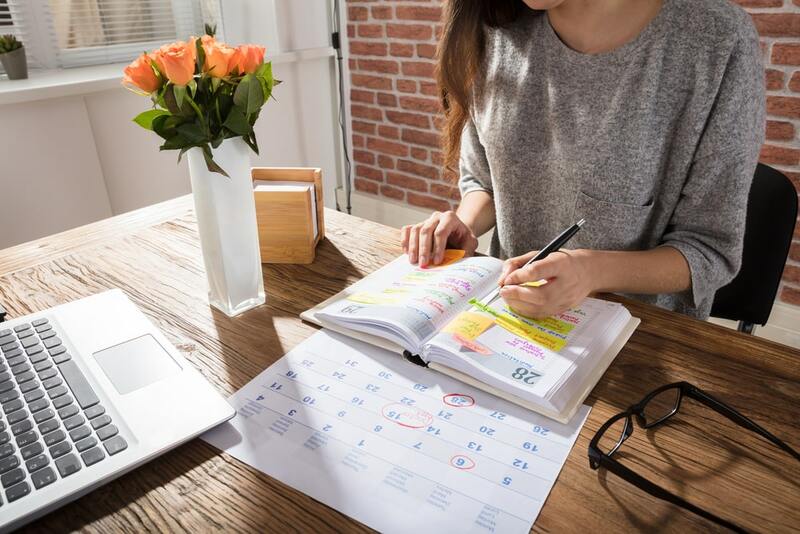 Then, for three or four consecutive days, spend at least 20 minutes a day doing your chosen activity. After a few days, evaluate how you feel and if you’d like to continue. Fully embrace the activity during the trial phase and express yourself fearlessly. Your emotions are important, and they need to be expressed so that you can move forward. 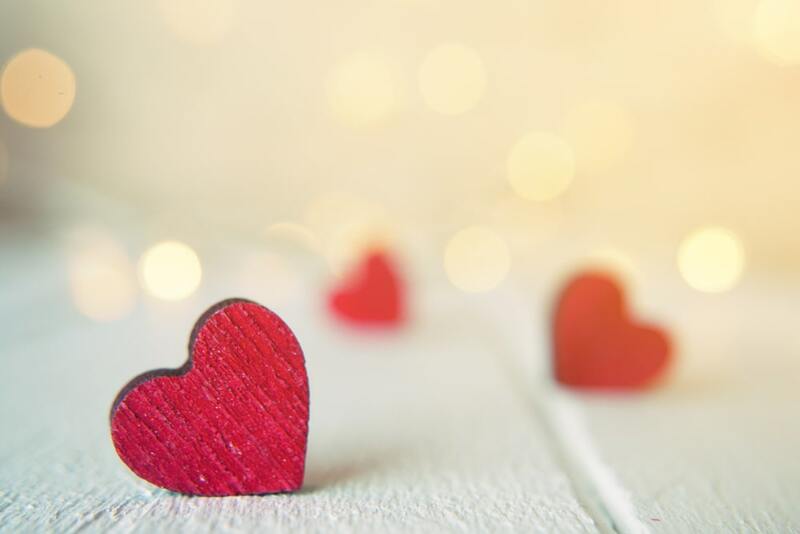 Grief is hard every day, but it is especially hard on those days throughout the year that we think of as “special.” Valentine’s Day is one of them. The stores are stocked with chocolate and Hallmark cards, and everywhere you look, people are discussing their plans for the day. But for you, Valentine’s Day is a source of pain and tears. Celebrate the love of good friends. We all have friends who stick with us through thick and thin, especially during times of grief. So, plan a meal or go out for dinner with some of your closest people, and celebrate what you’ve meant to each other. You could even bring Valentine’s Day into the mix by giving each other sweet treats. 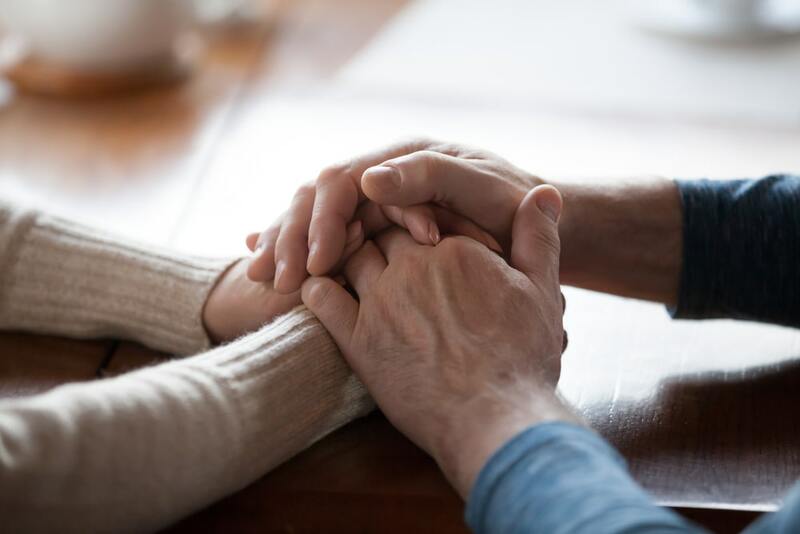 When we experience a loss, finding a support group is incredibly important. One way to seek support is through getting to know others who have experienced a similar type of loss. Instead of staying at home alone, go out with others who are struggling, and together, focus on what’s good in life. An attitude of gratitude is valuable to everyone both mentally and emotionally, so look for the good! If both you and your children are grieving this Valentine’s Day, ask them what they’d like to do for the day. It’s important to give children opportunities for healthy fun even in the midst of sorrow. They may want to go to dinner, the zoo, or a movie. 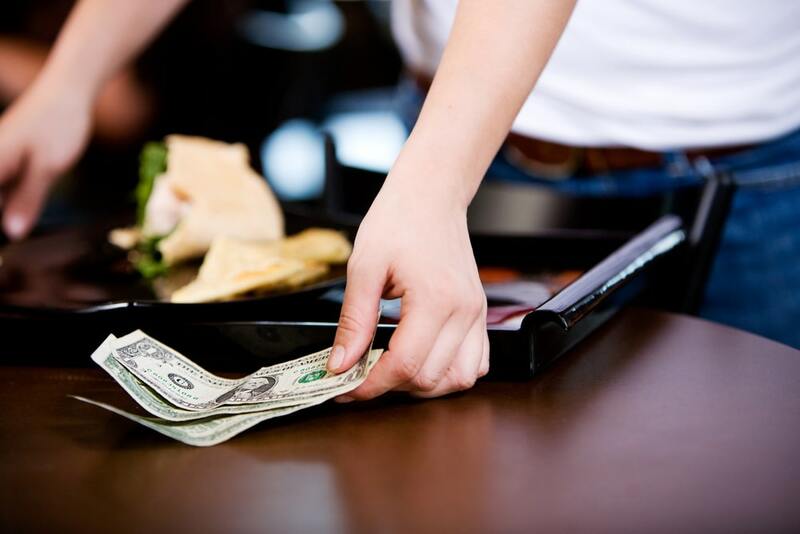 Make sure to manage their expectations by letting them know what kind of budget you have. For example, we can go play putt-putt or eat dinner out, but not both. Another opportunity to fill the evening is to attend a group activity – either with friends or with the intention of meeting new people. 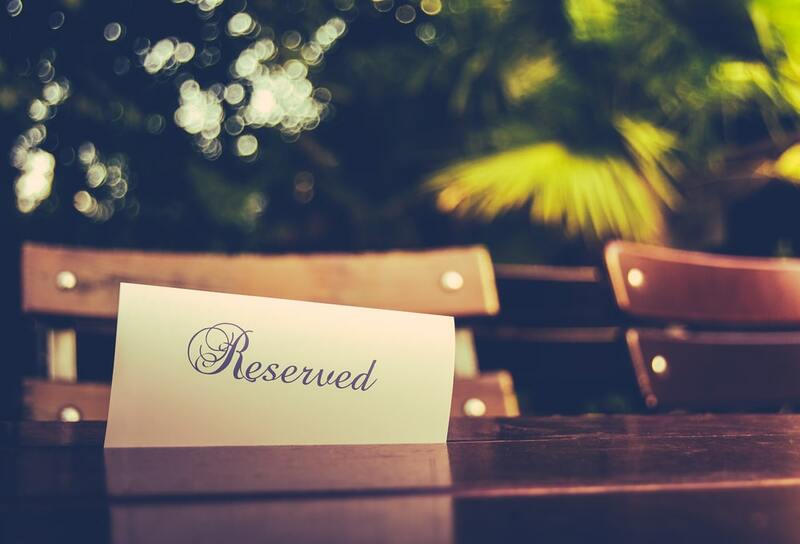 You could attend a club of some kind (book club, writing club, chess club, etc. ), take part in a support group or a prayer group, go to or host a painting party, or see what’s going on in your local community. Perhaps it would do your heart good to focus on others for the day. Random acts of kindness benefit you just as much as the other person. Some ideas to start you off: go ahead and give to the street performer or the homeless person; donate gently used items; leave a larger tip for the barista or server; bring in breakfast for your co-workers; give someone a compliment; or just smile at people. A simple smile brings a large measure of joy. For some people, taking part in an activity is the most helpful course of action. If that’s the case for you, consider volunteering your time on Valentine’s Day. By focusing on others, you take the spotlight off your feelings of grief. Is there a local organization that you regularly volunteer with or one that you’ve been curious about? This is a great time to give it a try. 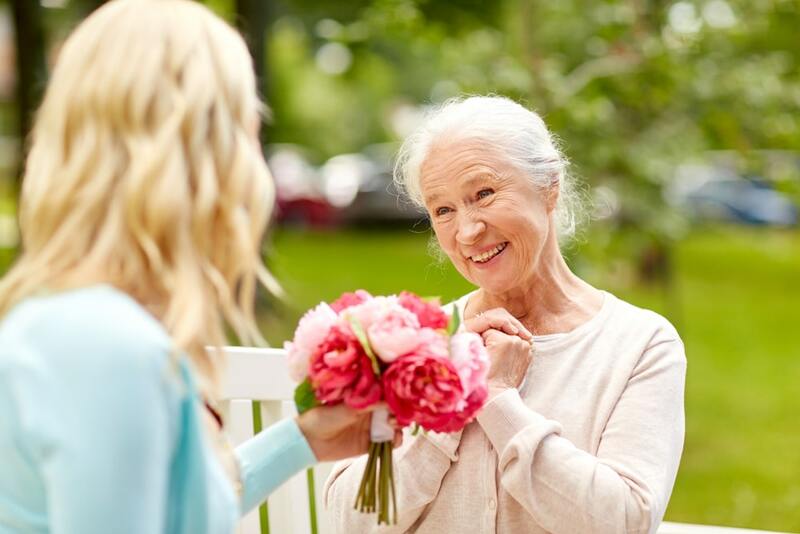 Even if you are grieving, you can offer a kind gesture to others. Rather than looking to receive a card and/or flowers and chocolate this year, choose someone to give to instead. 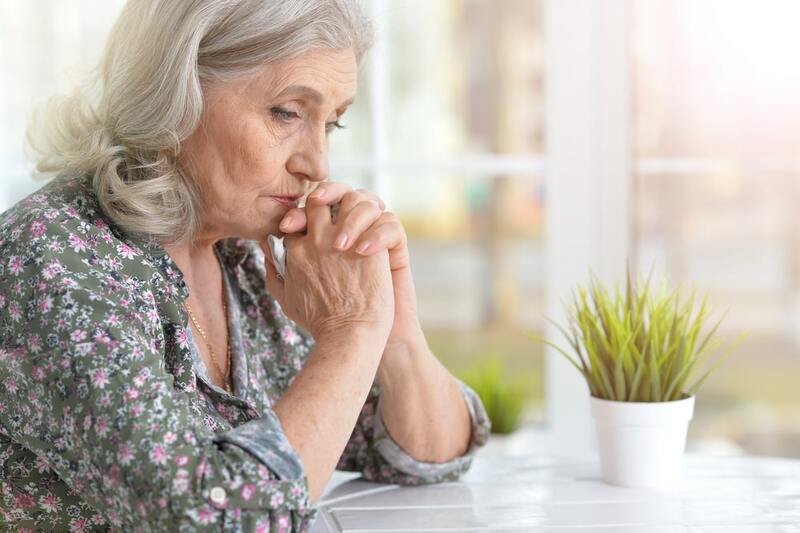 Perhaps an elderly person living alone or in a care facility, a friend or loved one spending the holiday in the hospital, or someone who is also grieving the loss of a loved one. Grief is hard work. That’s why Valentine’s Day might be a good day to treat yourself to a little pampering. Go to a spa. Get a manicure or pedicure. Schedule time with a massage therapist. Or if these options just aren’t you, treat yourself to a favorite dessert or a hot beverage you rarely consume, get a new haircut, or buy a new pair of shoes. There are so many ways to care for your own needs. 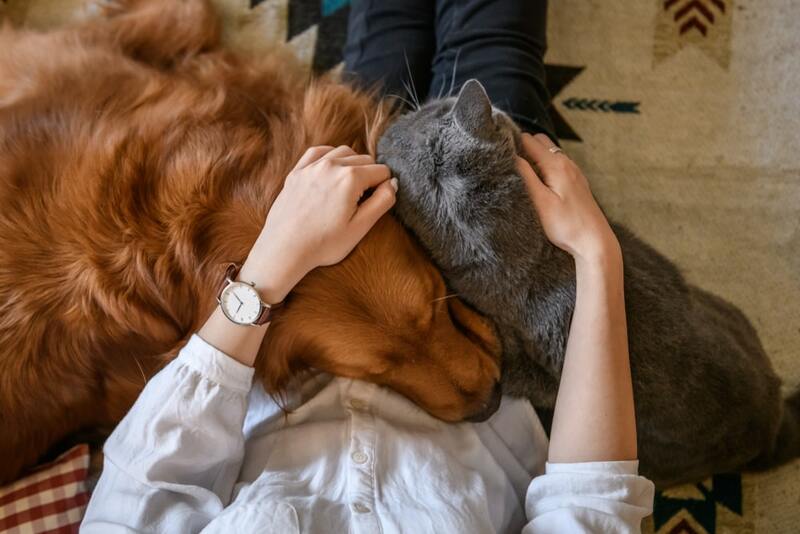 If you love our four-legged friends, spend time receiving love and affection from them on Valentine’s Day. Check out what’s available in your area. For some, an equine therapy program is appealing. For others, a program that allows you to take dogs for walks, pet and play with cats, or just help out around the shelter is best. And, if you’re able, you could adopt a furry friend and give it a forever home. 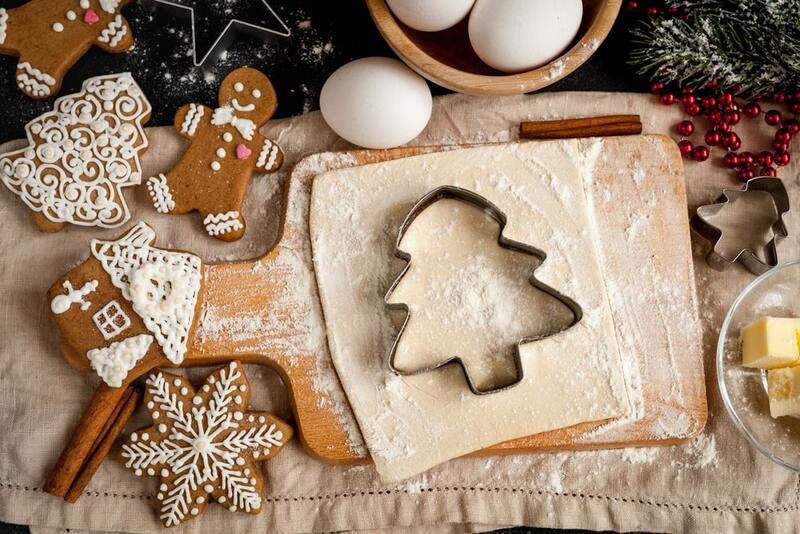 A final way to reinvent the holiday is to inject a bit of excitement into it. 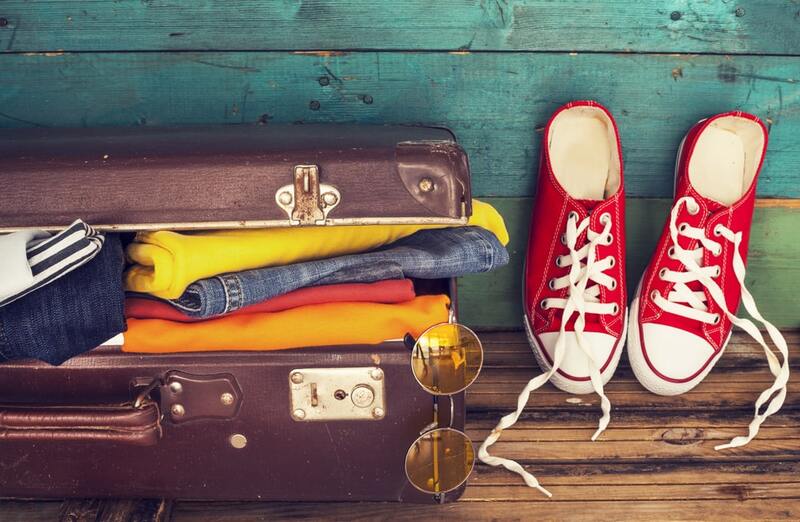 Rather than sitting at home, plan a trip for yourself to a new place. Invite friends or go on your own. A change of scenery will be a nice change of pace and give you some relief from the difficult work of grief. This Valentine’s Day, find a new way to view the day. Give to others. Pamper yourself. Spend time with friends and family or with animals. Or go on an adventure! No matter what you choose, the day doesn’t have to be gloomy and sad. Even if the loss of your loved one is still close to the surface, it’s okay to find little ways to experience joy in life. While your life will never be the same, it can be beautiful. We mourn because we love. That’s true of us all. Grief is a universal emotion, and because it is, we can find hope and encouragement in the stories of others. Dr. Wolfelt, nationally recognized grief expert, tells us about the importance of mourning well. 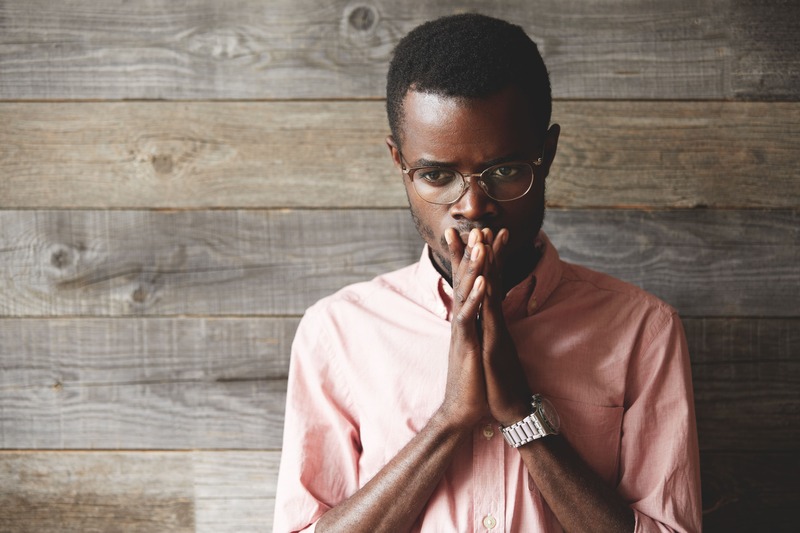 He says, “Making the choice not just to grieve, but to authentically mourn, provides us the courage to live through the pain of loss and be transformed by it. 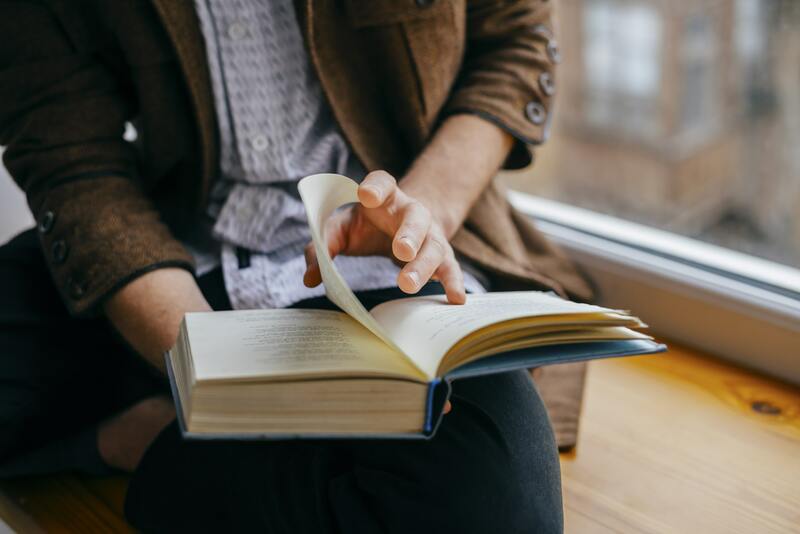 How ironic that to ultimately go on to live well and love well we must allow ourselves to mourn well.” Below is a list of the top 5 books published in 2018 (chosen based on Amazon reader reviews) about grief, loss, and the journey toward healing. Perhaps the words and experiences of others will help you as you navigate your own grief journey this year. Synopsis: On a normal day in New York, Jonathan finds his wife, Joy, fighting for breath in their living room. After calling the paramedics and spending many tense hours at the hospital, he learns that she has died. Not sure how to deal with the depth of emotion welling within him, he turns to writing and art to help him maneuver through the complexities of losing the wife he loved. Synopsis: Grief Day by Day offers 365 reflections, weekly themes, and healing exercises for dealing with the complexities of grief. Jan Warner draws on her own experience with loss to offer hope and useful guidance to others who are struggling. 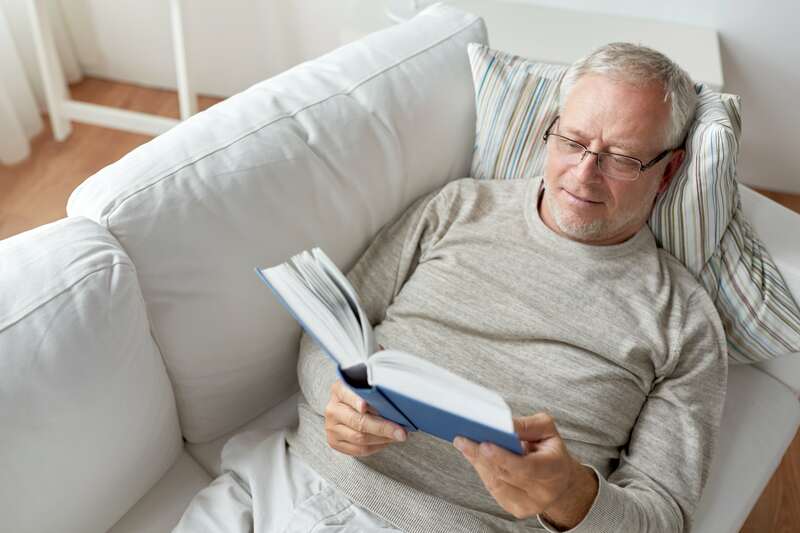 With the book’s set-up, the reader can use it in the way that best suits them and their specific needs. Synopsis: Written by three widows, this book is an invitation to join Trish, Peggy, and Jennifer on their journey. They kindly and lovingly share about their challenges and triumphs while navigating widowhood. This book focuses on empowering widows. Not only do the authors share their personal stories, but they explores how to shape a new identity, how to handle holidays and anniversaries, and so much more! Synopsis: Written by a bereaved parent, this book helps people understand and become comfortable with the language of grief. As it moves the reader toward a greater understanding of the complexities of grief, it explores important topics like how to release self-blame, how to cope with the physical absence of your loved one, and which reactions are perfectly normal (all of them!). Synopsis: No matter what the catalyst may be, we have all had our lives changed in an instant. Whether it be death, illness, loss of employment, loss of relationship, or something else, we aren’t sure how to deal with what has happened. In this book, Dr. Tripp shares his own journey and what it means to trust God even in the midst of suffering. Another book worth taking a look at is by noted author, educator, and grief counselor, Dr. Alan Wolfelt. Grief Day by Day: Simple, Everyday Practices to Help Yourself Survive…and Thrive was published in late 2018 and offers answers to the questions that plague the hearts of those who are grieving. How am I supposed to cope? What should I do with these thoughts and feelings? How can I both grieve and still live with hope and meaning? 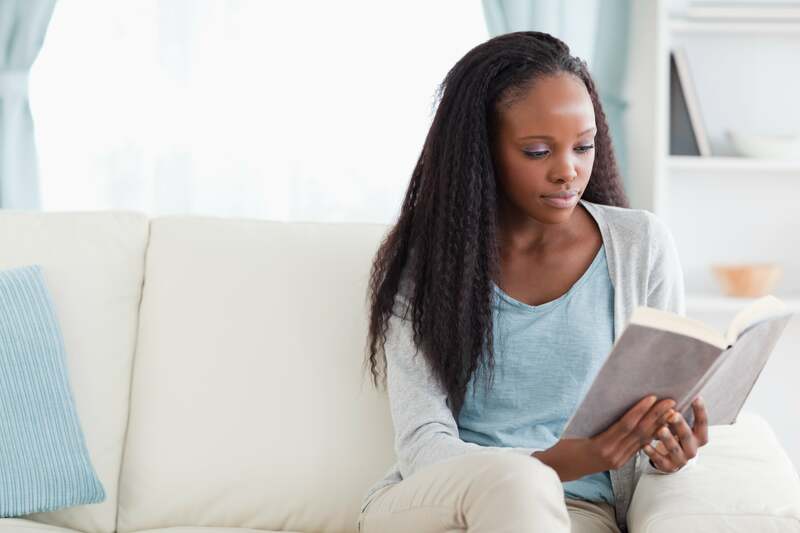 Hopefully, one or more of these books will speak to your heart and give you comfort and peace on your journey through grief in 2019. Grief, in its normal context, is already difficult to bear and elicits a variety of emotions. When you add in the element of trauma, everything becomes more complicated. When a loss is sudden, unexpected, or associated with horror, the impact is profound, and it will take much longer to heal. We grieve because we love, so it is natural to experience feelings of grief at a time of loss. The feelings that manifest will vary from person to person with some experiencing sadness while others experience anger, relief, or disbelief. There is no right or wrong way – you simply feel what you feel. Trauma is defined as “a psychological, emotional response to an event or an experience that is deeply distressing or disturbing.” The element of trauma can complicate grief in a wide variety of situations: violent or sudden deaths, witnessing the death, serious illness or injury, accidental death, experiencing a natural disaster, or going through a divorce, to name a few. Ultimately, it doesn’t matter which type of event you experienced, what matters is your response to it and how deeply it affected you. 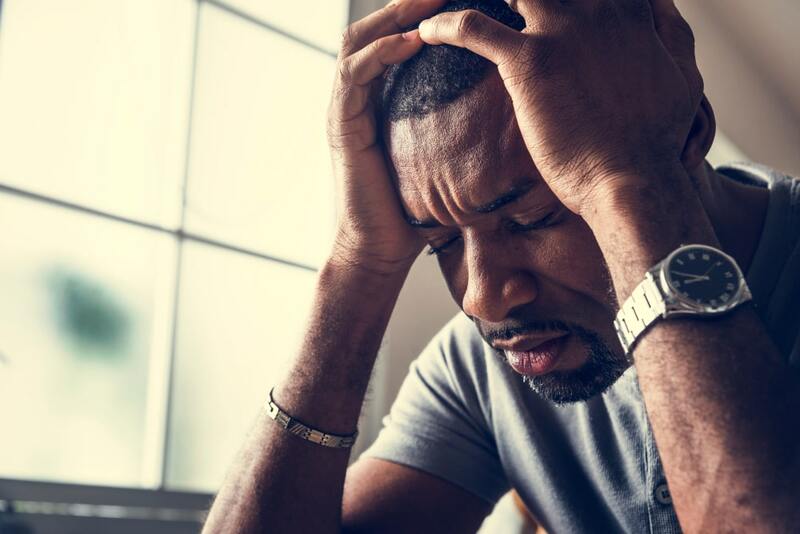 It is important to note that some individuals who experience traumatic grief (or traumatic loss) will likely exhibit Post-Traumatic Stress Disorder (PTSD) symptoms. This doesn’t mean that everyone will showcase symptoms, but a minority will, depending on the situation. 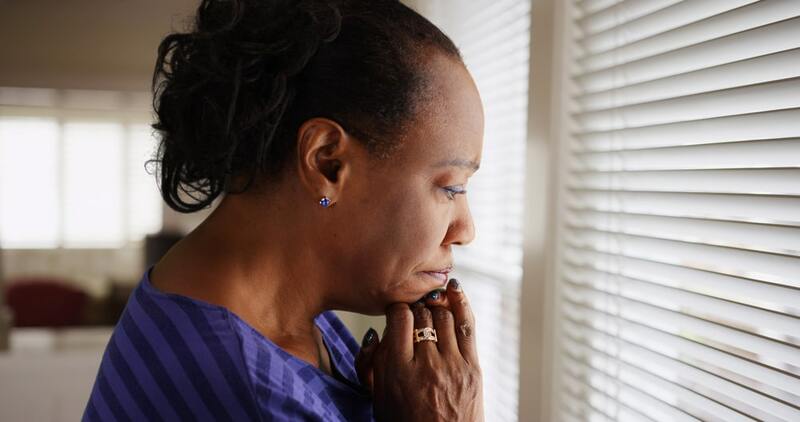 For survivors of assault and other crimes, natural disasters, car accidents, mass shootings or the sudden death of a loved one, some degree of PTSD is common and can have deep psychological effects. With traumatic grief, there is a dual challenge: coping with the trauma while also coping with the grief. In the beginning, trauma will overshadow grief. In many cases, this means that shock and disbelief will take hold at first, interfering with the normal grief process. These feelings of shock and disbelief will actually protect you. As Dr. Wolfelt puts it, “If you are in the early days of your grief journey, you are likely still feeling numbed by shock and disbelief. This is a normal and necessary step, for it is nature’s way of protecting you from the full force of the loss all at once.” Eventually, the feelings will abate, as you become ready to deal with reality. It’s important to be on the lookout for indicators that a person is suffering from traumatic grief. 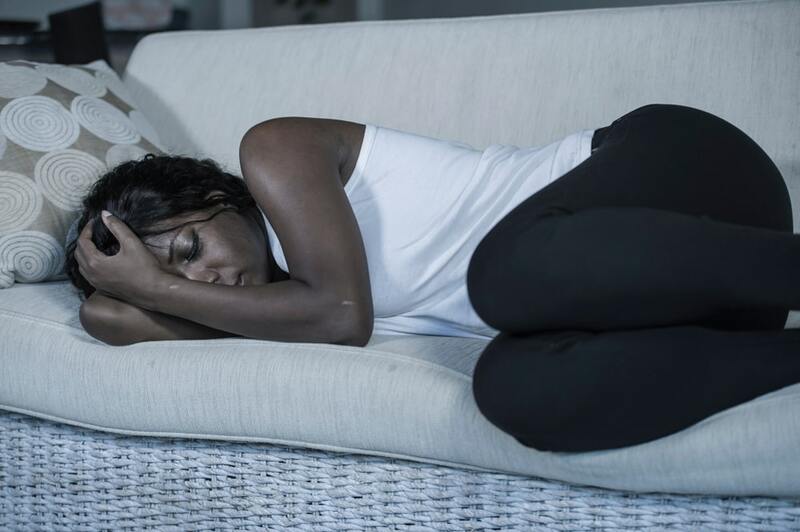 Some symptoms include: insomnia or sleep disturbances, anxiety, poor concentration, loss of appetite, feelings of guilt and blame, shattered assumptions about the world, themselves, and others, or fear of grief and trauma reactions. In general, trauma makes grief harder to resolve. In other words, it will take longer and require more work, but it most certainly can be done. 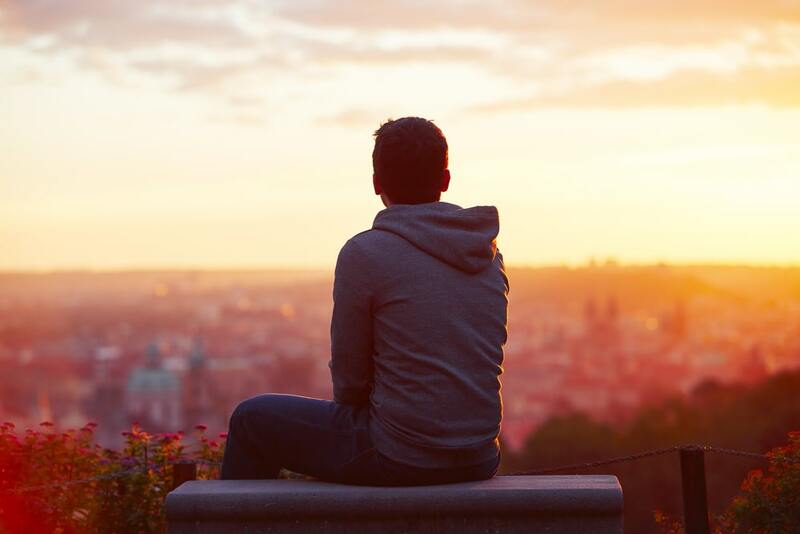 People who have experienced a traumatic loss can go on to find new meaning in their lives and eventually reconcile themselves to their loss. 3. Don’t fear your feelings. After a traumatic event, it’s natural to experience shock and disbelief. However, eventually these two feelings will disappear, and others will take their place. When this happens, don’t be afraid. You may experience fear, anxiety, anger or a strong sense of loss or sadness. In cases of traumatic loss, you may experience flashbacks or sensitivity to certain sounds or words (e.g. sudden, loud noises; squealing tires, etc.). Don’t try to “be strong” but instead focus on letting yourself replay the events in your mind as you work to come to grips with them. 4. Allow yourself to replay events. This may seem counterintuitive and scary, but in order to process an event, you have to face it. Dr. Wolfelt assures us that replay is natural and normal. He says, “Replay helps you begin to acknowledge the reality of the death and integrate it into your life. It is as if your mind needs to devote time and energy to comprehending the circumstances of the death before it can move on to confronting the fact that someone you love has died and will never be present to you again.” Depending on the traumatic event you experienced, it may be best to replay the events in small “doses” so that you don’t become overwhelmed. You may even find an experienced counselor to take the journey with you. 5. Be aware of PTSD symptoms. As we discussed earlier, someone who has experienced a traumatic event may exhibit symptoms of PTSD. While it is most commonly associated with veterans, civilians can also experience PTSD. A few symptoms to look out for: nightmares or scary thoughts, anger, inability to trust people, high anxiety levels, always expecting danger, to name a few. A person can exhibit a few of these symptoms without it being full-blown PTSD. To determine whether you or a loved one is experiencing PTSD, it’s best to speak with a professional. Above all, remember that PTSD is not linked to your personality, but to the intensity and duration of a stressful event. 6. Find ways to express yourself. “Self-expression can change you and the way you perceive and experience your world. Transforming your thoughts and feelings into words gives them meaning and shape. The alternative—denying or suppressing your pain—is in fact more painful. If you do not honor your grief by acknowledging it, it will accumulate and fester.” Dr. Wolfelt makes an excellent point. We must make time to explore and express our feelings, or they will destroy us from the inside. There are many ways to do this. Pick one that fits you best: journaling, painting, talking it out, building, hiking, exercising, etc. You have experienced something difficult, heartbreaking, and traumatic. You can’t move forward all alone – you need people. A group of people to offer support and encouragement, to give you hope when the days are dark, and to stick with you no matter what lies ahead. And for many, it’s helpful to speak to a licensed counselor who can help you navigate through the murky waters of traumatic grief. The journey ahead is not something you asked for. It will include some long and difficult days. But you and your future are worth it. Don’t give up on finding new meaning and joy in life and learning how to incorporate what you’ve experienced into the story of your life. The past doesn’t define you unless you let it. Your present choices can pave a new path into a bright future. Things happen in this world that break our hearts. In many cases, there’s nothing we personally could have done to prevent the events from occurring. Twenty people died in a limo crash in New York state. Mass shootings continue to occur – Las Vegas, Sutherland Springs, Parkland. People – old and young – lose their lives and their possessions due to hurricanes, earthquakes, and other natural disasters. And in the midst of it all, as human beings, we must stand together and mourn together. This is why candlelight and prayer vigils are necessary. The grief journey is long and hard. On some days, we feel horrible, while on other days, we feel bad for feeling okay. All of this is part of the journey toward reconciliation. 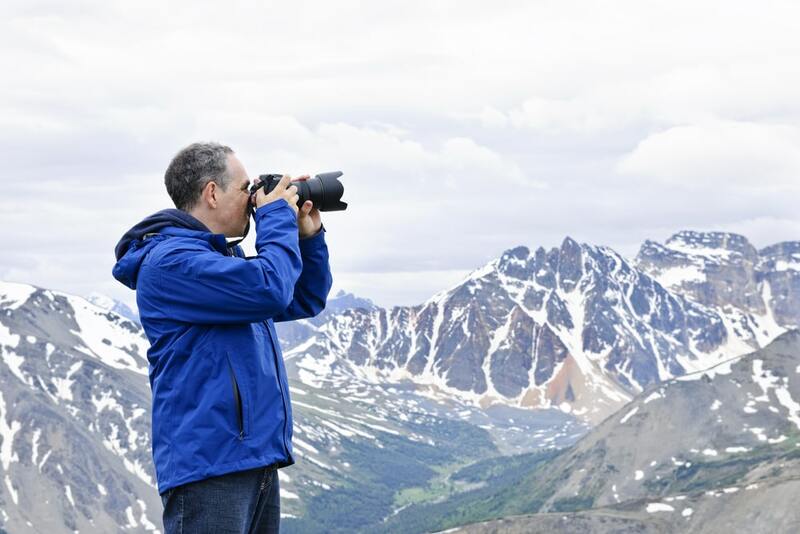 Dr. Alan Wolfelt, a nationally respected grief educator and counselor, says, “We, as human beings, never resolve our grief, but instead become reconciled to it…You don’t get to go around or above your grief. You must go through it. And while you are going through it, you must express it if you are to reconcile yourself to it.” In other words, we should not seek a resolution to our grief, but instead, we must pursue reconciliation. We will not “get over” what we’ve lost or go back to our “old normal.” However, we can find our “new normal” and renewed purpose and meaning. 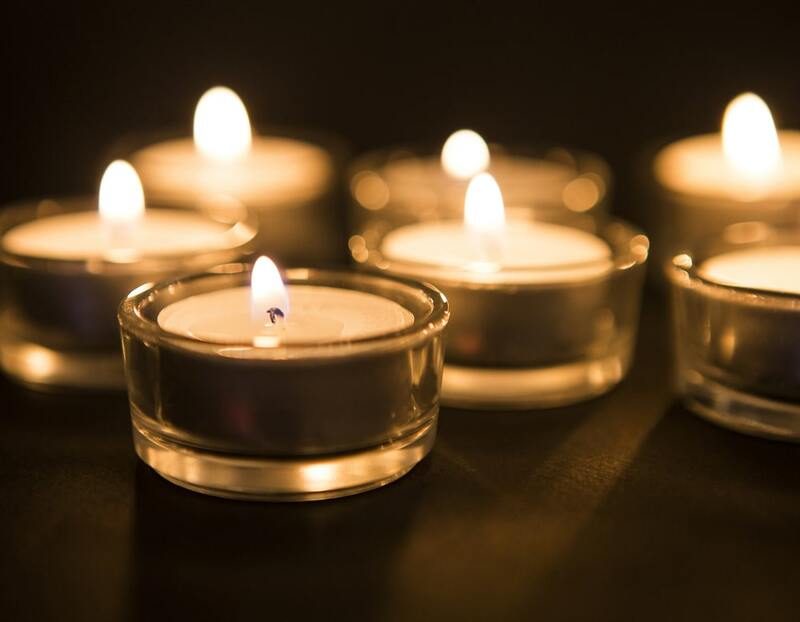 In many ways, this healthy human need to grieve is one of the many reasons why attending a vigil may be helpful to your grief journey, especially after an expected or traumatic event. 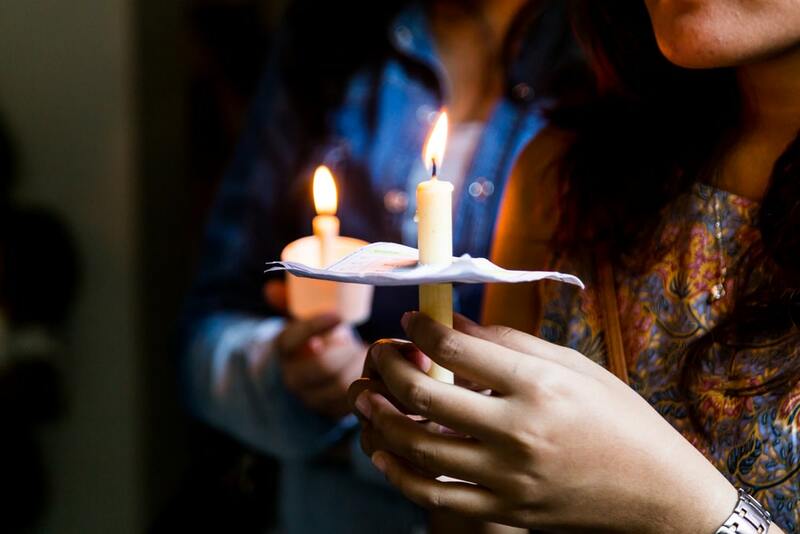 Here are 5 more reasons why attending a vigil may assist you in your grief. First of all, a vigil is about remembering the person or people who have died. Everyone takes time to intentionally dwell on and recall each life and mourn their loss. Often, close loved ones speak and share memories and anecdotes. These stories draw us in and give us a glimpse into the person’s life that we may not have had before. As a result, we feel closer to the one who has died and can mourn in a more personal way. Taking part in symbolic actions has grief-healing benefits. 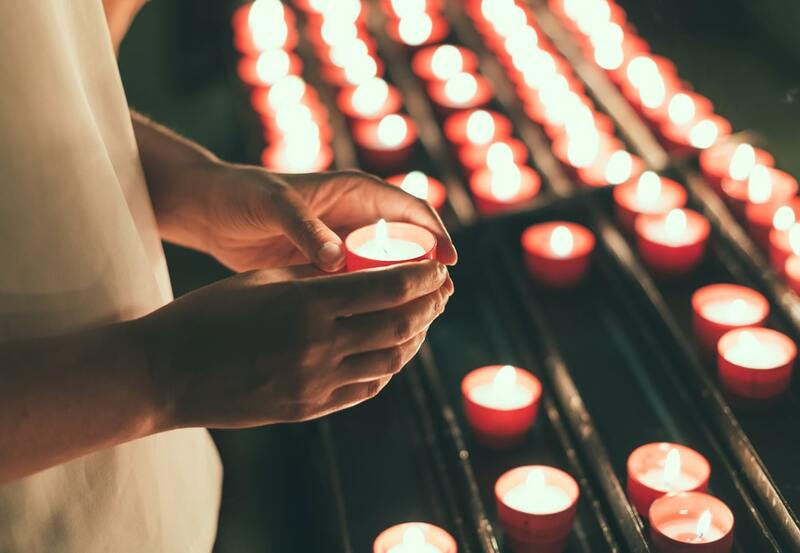 Dr. Wolfelt says, “When mourners light a candle…they are provided with a physical means of expressing their grief.” Mourning is the outward expression of an internal grief. In order to heal and find a way to move forward, we must allow our grief expression and give motion to our feelings. 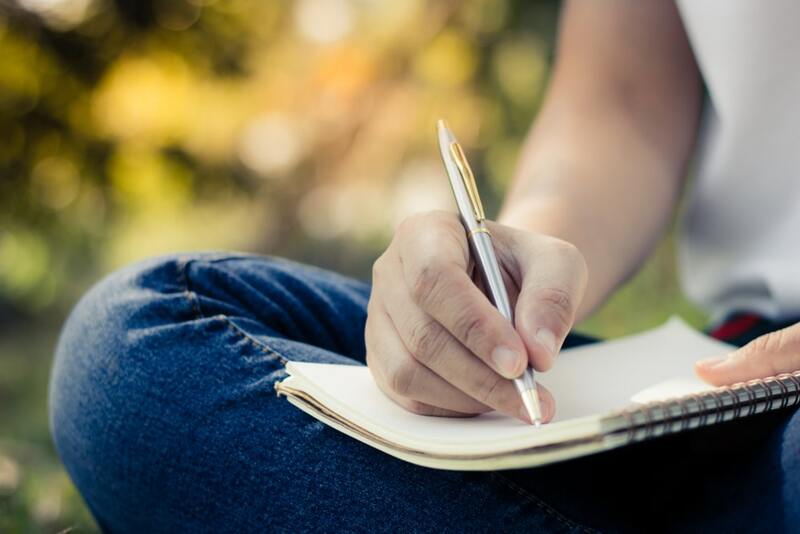 Attending a vigil or funeral, lighting a candle, or writing a grief journal are all examples of putting motion to grief. Loss unleashes a variety of emotions: confusion, yearning, anger, sadness, guilt, regret. We should not feel ashamed of our emotions; we feel what we feel. Many times, society as a whole frowns upon open expressions of grief, but this attitude is flawed. We are human. We feel, and we feel deeply. It would be unnatural not to grieve. 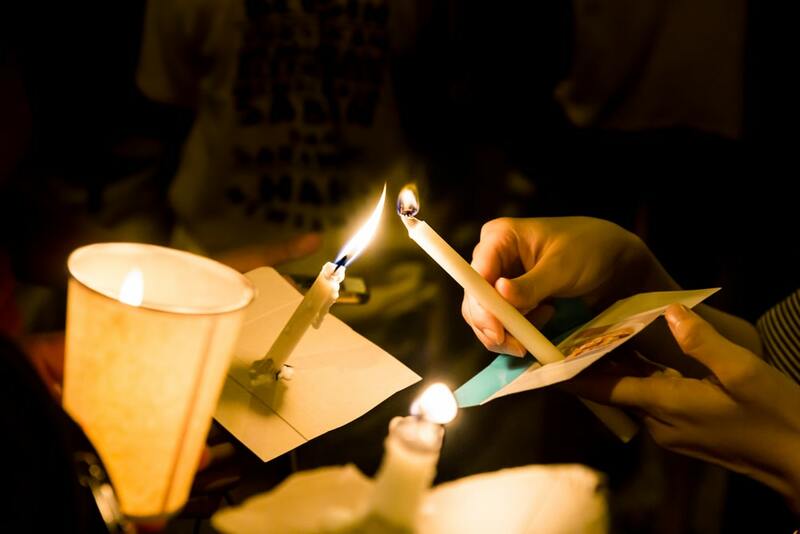 The vigil offers an opportunity to move toward embracing your pain so that you can begin to process the loss that you feel. Finally, a vigil brings us together as one people, one community. It is an opportunity to offer and receive support, which is absolutely vital to healthy healing. 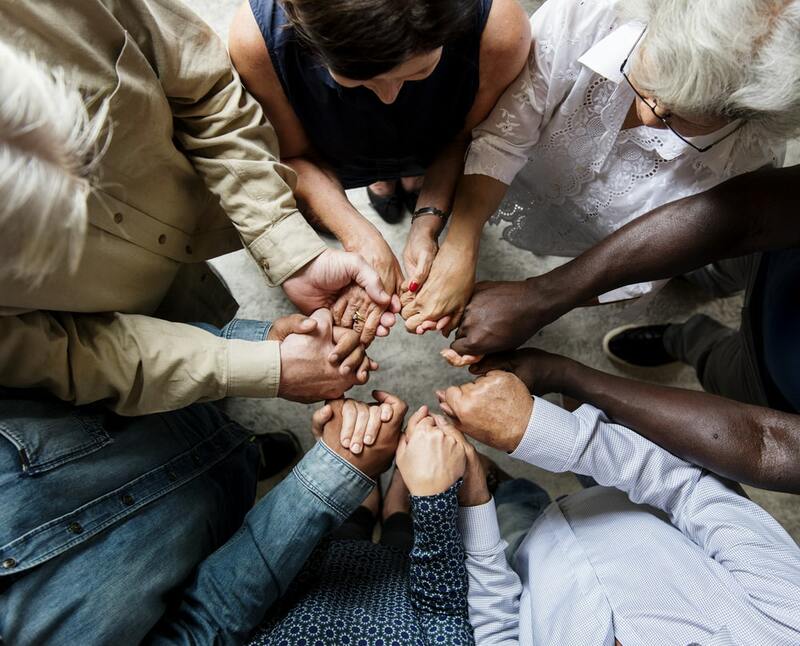 Dr. Wolfelt puts it this way, “The quality and quantity of understanding support you get during your grief journey will have a major influence on your capacity to heal.” So, a vigil provides us the ability to join with others, to stand in unity, and to mourn the loss together. We are not meant to live life alone, and our journey with grief is no different. If you’ve lost someone to an unexpected or traumatic event, please know that your grief is normal and to be expected. Do not feel ashamed of whatever it is that you feel. Instead, do the work of grieving. 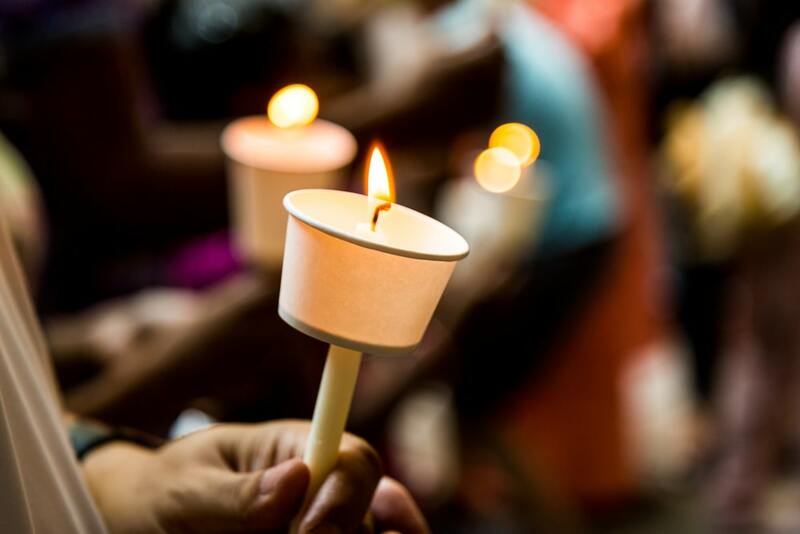 Attend a candlelight or prayer vigil. Talk to people. Find a support group. Write down what you’re thinking and feeling. Paint. Dance. Whatever it is that you need to do to express your emotions in a healthy way, do it! The process will not be easy, and there will be days when you just want to give up. But if you keep moving forward, you will one day find that the intense pangs of grief are less frequent, and you have renewed hope for the future. The holiday season is often particularly difficult for those who have recently lost someone or for those whose loss may not be recent but is still fresh and closely felt. 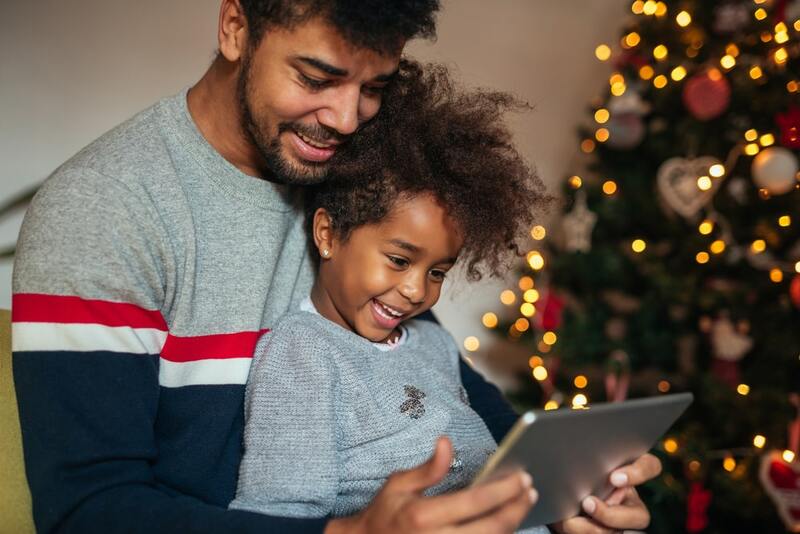 Because the holidays center around spending time with family, the season might stir up some unpleasant emotions: grief, loneliness, anger, anxiety, sadness. 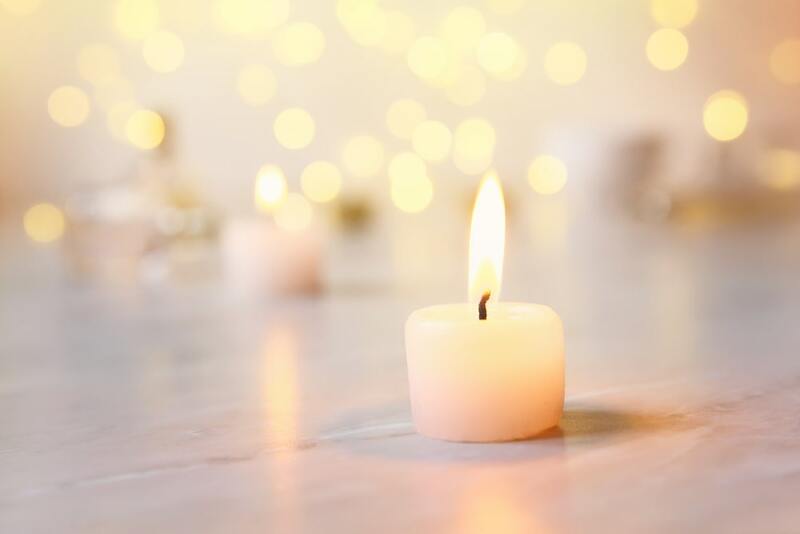 One way to combat these emotions is to take time to remember your loved one and find ways to include their memory in your holiday activities. If you aren’t sure where to start, here are some holiday remembrance activities you can incorporate. 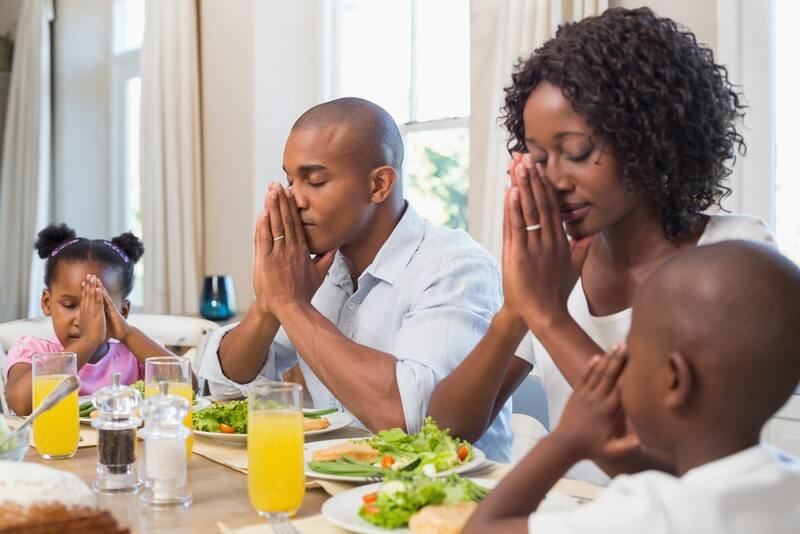 Many can be done alone, while for others, you might consider inviting your children, friends, or other family members to join you. You can create any type of ornament you wish for this project. You could keep it simple by selecting an ornament from the store and adding a favorite photo to it. Alternatively, you could use papier-mâché, wood, pine cones, or other materials to create your own. Another option – one that would work well with kids – is to use clear, premade, round ornaments and then fill them up with items. You could use ribbons to represent the different emotions each person may be feeling. Or, you could use buttons, glitter, beads, sand, seashells, rocks, seeds, etcetera, or perhaps something that was special to your loved one. The possibilities are numerous. Churches and funeral homes often host remembrance events around the holidays. They are very much aware of the need to remember those we love and feel close to them, especially at Thanksgiving and Christmas. Because of that, you will likely be able to find a remembrance event happening in your town or a neighboring town. If you’d like to attend, consider taking the whole family or close friends. By inviting others into your grief, you let them know you value them and want a deeper friendship with them. 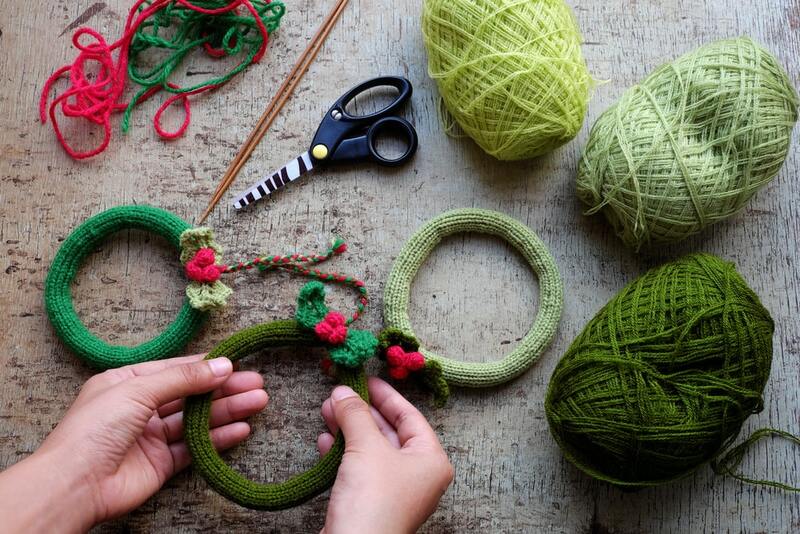 If you’ve lost a loved one who owned an abundance of ties, you could make a necktie wreath or quilt during the holiday season. For both projects, you can select the ties you want to use as you see fit. 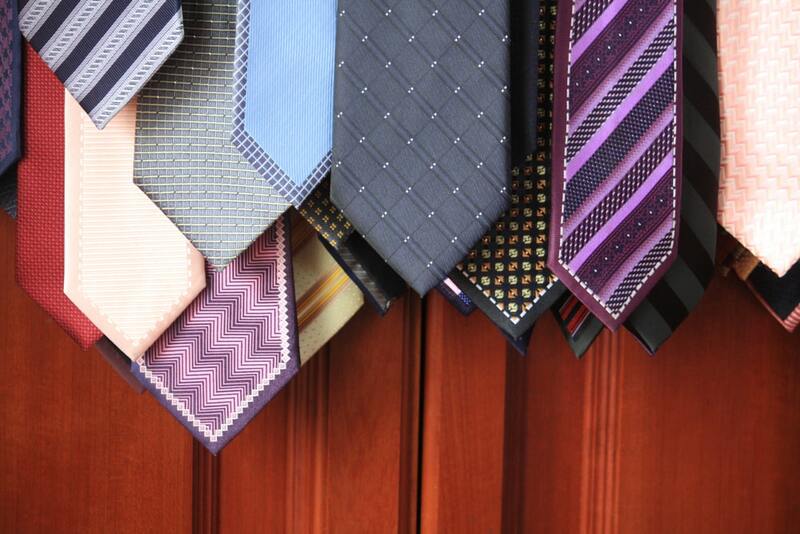 You could select ties to follow a holiday theme, use the ties that were most loved, or follow a color scheme. Also, with the necktie quilt, the ties will make a centerpiece. You will need to select material from the fabric store to pair with your centerpiece. You could go with a holiday theme or simply select colors that are meaningful to you or to your lost loved one. With the online services available today, almost anything can be made. In this case, you can select a favorite photo of your loved one, upload it to an image publishing service (i.e. Shutterfly, Snapfish), and order a puzzle of that photo. Once the puzzle arrives, you can sit down and put it together on your own or with family or friends. 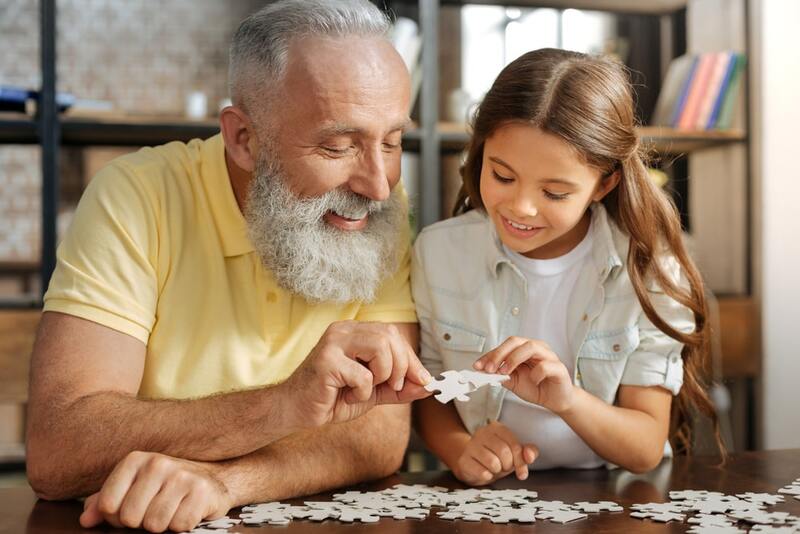 This is a way to do something tangible, and while you assemble the puzzle, you can think about or talk about your loved one and your memories. 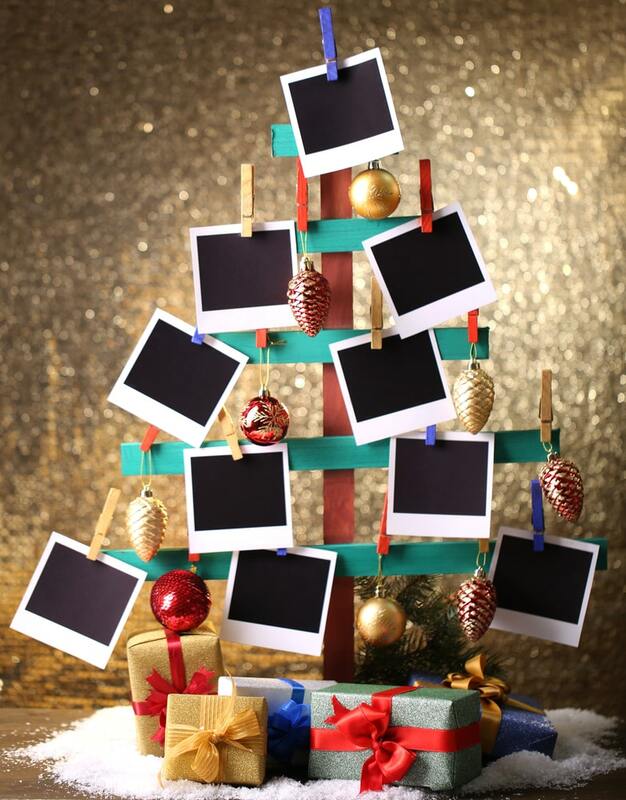 If you set up a Christmas tree in your home, you might consider putting up a memory tree as well. You can decorate this tree in the way that best suits you, perhaps adding a photo of the one you love. You can put your loved one’s favorite ornaments on it or you could theme it after their favorite color, movie, book, etc. Another option is to keep a pile of small pieces of paper nearby with writing utensils. When others see the memory tree, they could pick up a piece of paper and write down a special memory they have of your loved one. Alternatively, the paper could have prompts like, “I wish…” or “I remember when…” and so on. This exercise allows you and others to outwardly express what you feel inside. Also, it’s a great way to allow children to share what may be on their hearts. Food is a part of the holiday package, and we all have our favorite dishes. 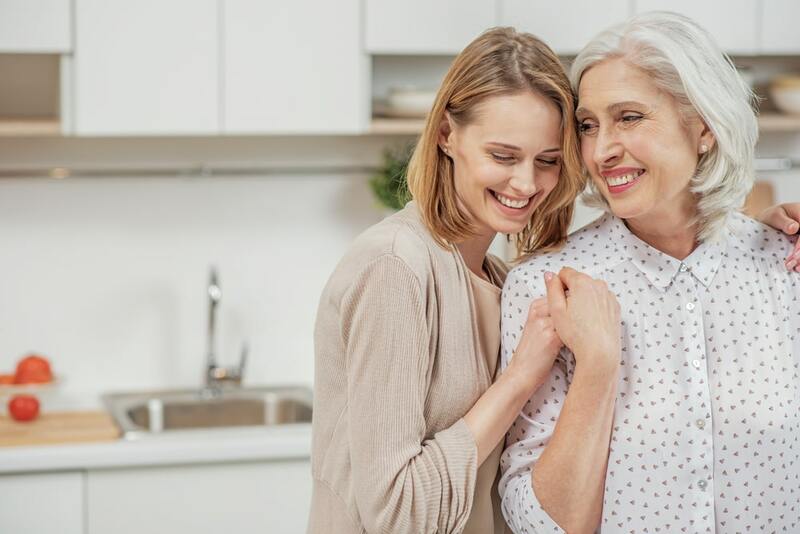 As a way to bring your loved one’s memory into the festivities, you can take time to prepare some of their favorite holiday meals. This is an activity you can easily invite children, family, or friends to join. Alternatively, if you know others who are also grieving, you could get a group together and each cook the favored dish of your loved ones. Then, after everything is ready, you can sit down as a group and share a time of remembrance. 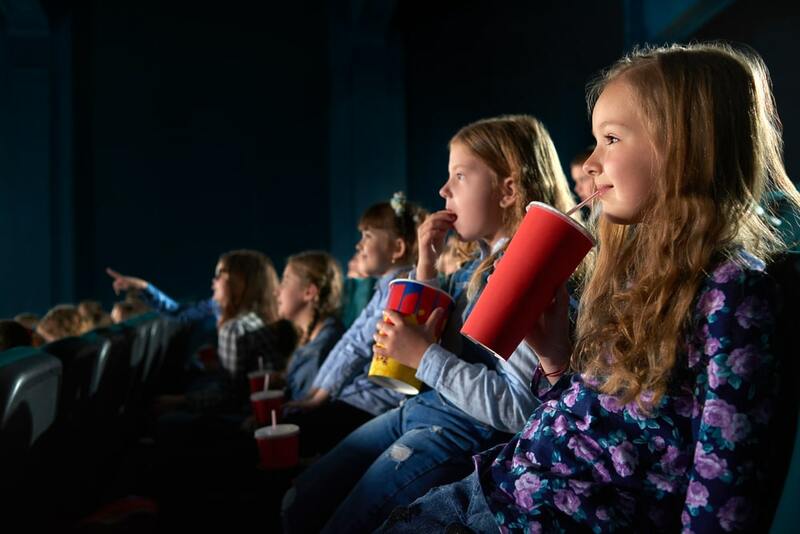 Most of us have a favorite movie to watch during the holiday season, and most likely, your loved one was the same. In some cases, it may not even be a holiday movie but just one that they liked to watch in December. 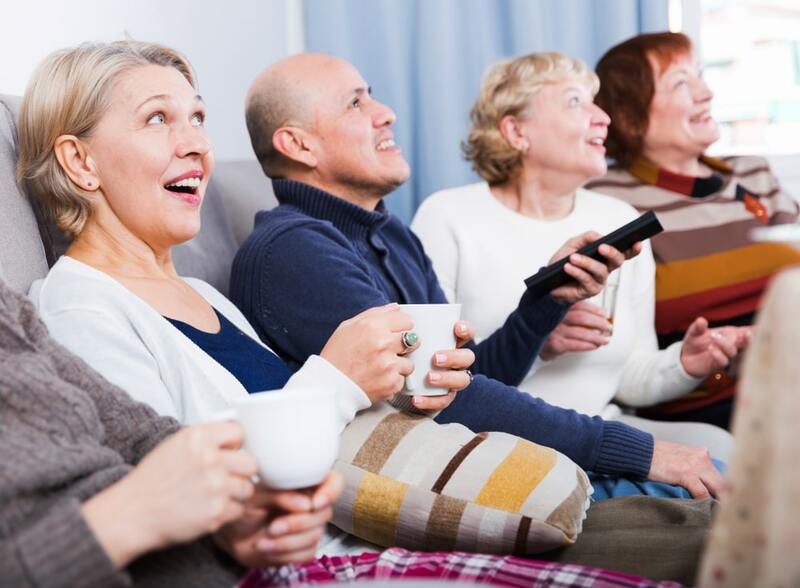 Call a few friends and invite them over for an evening to enjoy watching what brought delight to your loved one, and either before or after the movie, share a few words about how much you appreciate their coming to remember your loved one with you. 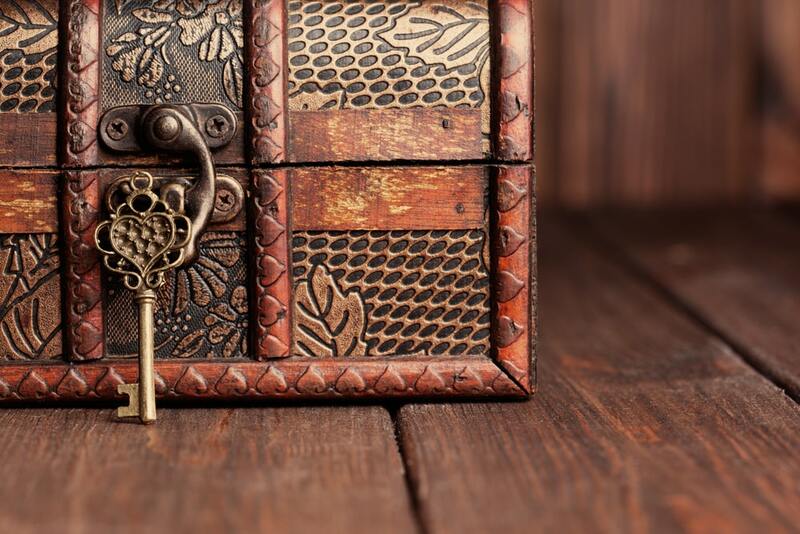 You’ve likely heard about time capsules – people decades ago put items and notes into a sealed container and oftentimes bury it, setting a date to open it again. This activity is similar, except it’s a memory capsule. Find an appropriate receptacle, and then start placing special things in it. A note to your future self about where you hope you will be in your grief journey when you open the capsule. A letter written by your loved one. Special trinkets. Photos. For children, it may be adding a treasured toy or drawing a picture. After everything is together, set a date to open the capsule and anticipate the day. For this activity, cut strips of red and green paper (or whatever color you prefer) into rectangles (roughly 8 inches long and 1 inch high). Then, on each piece, write a memory of your loved one, share how you’re feeling, talk about what you missed about your loved one, what you valued. 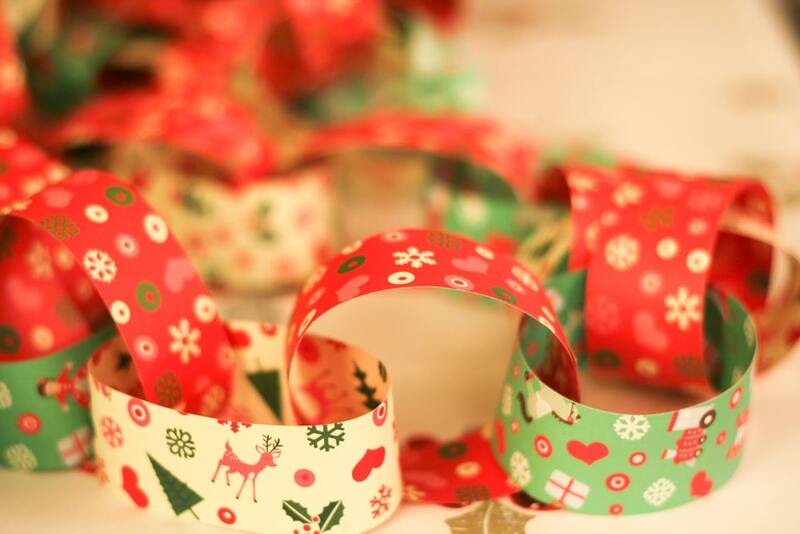 Once you’ve written on the strips, form them into interlocking loops and create a paper chain that you can use as garland for the tree or mantle or drape over a doorway. This one is also a great activity for children, though adults will benefit as well. During times of grief, we all need to take time to express how we feel, especially when the world around us seems more merry and joyful. Children are full of fun and unexpected ideas. If you have children, and you are all grieving a loss, ask them what they’d like to do to remember. They may think of something that hasn’t even occurred to you. 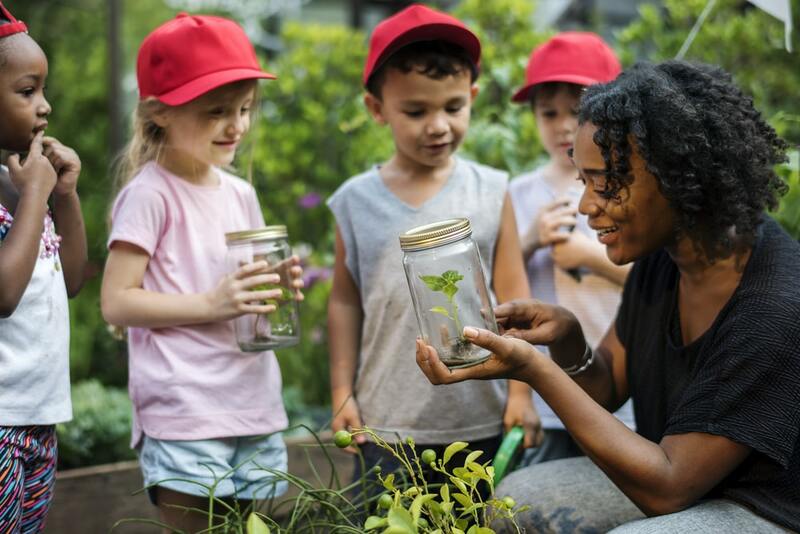 Plus, it’s a way to invite them to use their creativity and express their own feelings, which can sometimes be difficult for children since they are still learning to navigate their emotional lives. 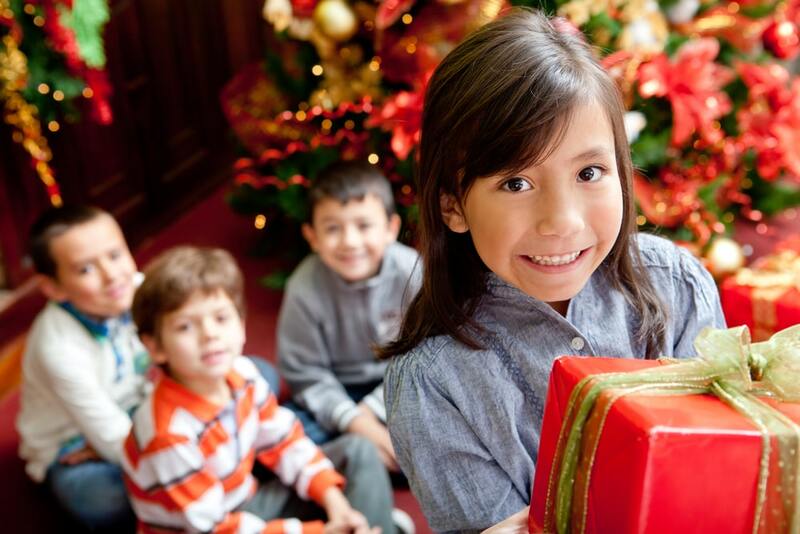 This list barely scratches the surface of all the activities you could take part in during the holiday season. The most important thing is to choose the activities that are most meaningful to you and to make sure not to overload yourself. It’s a busy time of year and those who are grieving still need to take time to care for themselves amidst the fullness of the season.